I get the impression you know very interesting pieces of information about Sanskrit. Any truth to the stories that it is spoken on some other planets? There is a "Root Language" or "Original Tongue" that is very similar to Sanskrit that is spoken and written by other beings. There is also a "Common Language" that is used at some Federation Meetings even though there is also sign language and telepathy being used. To date [April 12, 2015] you say that there have been four sets of SSP conferences/meetings that you have attended. The first included 70 private civilians taken to the meeting on the far side of the moon. Did any of these attend the latter three SSP conferences/meetings? No. There was an entirely different group of the same type of people that attended one other conference. There has only been one other conference at the “LOC” since the previous one mentioned. The others were at more “Spartan” locations. This last “SSP Alliance/Sphere Being Alliance” conference was at the “LOC” and there was a smaller group of people a little more than half the size of the previous “Groups of 70” that you are referencing. What do you know about the composition of these other 70 private civilians in terms of ethnicity, religion, professional status, etc.? In the first meeting at the “LOC”, There were Men and Women and a wide age group. They were from all over the planet and obviously from various time zones from the “Attire” they were wearing. There were from diverse ethnic groups that also represented the population of the planet. Were any of them similar to you in terms of having earlier served with the SSPs? No. These people were obviously “Gob-Smacked” at their experience and were thrilled to be there. They were your “Average” looking people from the planet. I have not been given any direct intelligence on this but I am certain they are “Star Seeds”. When do you anticipate others from among the 70 coming forward to publicly share their knowledge of the meetings? Unknown. I did run into one of them very soon afterward at the local “Tax Office” while buying the State Registration Sticker for my Vehicle. She was the same woman that was in the shuttle craft that picked me up in my back yard (that an actual MUFON Report was filed over by 2 women driving down a nearby street who witnessed the “Pickup”). She did a “Double Take” look at me and her eyes became the size of Silver Dollars. I fully expected a very exciting and interesting conversation to take place. However she suddenly stepped out of the line that she had obviously been waiting in for some time and left the building. Once I had concluded my business I walked out the front door hoping she would be waiting outside to meet me. She was nowhere to be seen. I stood there in the rain and scanned all of the cars in the parking lot to see if she was in one of them. I got in the car and told my wife what happened and was disappointed as we drove off. I had no idea why she behaved the way she did since we met on the shuttle and stood close together in the large room at the “LOC” where we were all transported to a “Sphere” to have a second meeting with the various “Sphere Beings”. She was not among those with me that met the Blue Avians but she did meet with some of the other allied Sphere Beings at the same time. I will hope that she is following this information and decides to contact me unless she was told to do otherwise. You have to remember that the “Cabal” or “Secret Earth Government Syndicates” have been targeting “Star Seeds”. This could be for Operational Security (Which the Sphere Being Alliance does practice.). You say that the SSP/Sphere Alliance comprises the Space Warden SSP along with 5-7 secret space programs belonging to ancient Earth civilizations, can you identify the civilizations from which they originate? No. This is in some cases controversial information. There are a few of these groups that have created an entire belief system around themselves in the Ufology Community. Some of them have approached or “Contacted” individuals or small groups and told them that they are “Aliens” from “The *** Star System” or “The *** *** Federations” etc… This is a deception that they pulled on the SSP’s for a while until it was first suspected and then later confirmed by other “Off World” Allies, other “Ancient Breakaway Civilizations” and also Extensive investigations and expeditions by the SSP’s to these “Star Systems” to verify their claims. Some of these “Trickster Aliens”/”Trickster Gods” have also been aligned with the “Secret Earth Governments” and their “Syndicates” until recently. These “Cabal”/”Illuminati Groups” now want these “Fake Aliens” exposed for what they are for some reason. I do not know what the nature of their falling out is. I do know that the SSP Alliance does not want to do these “Cabal/Illuminati Groups” any “Favors” by doing this exposing of these “Fake Aliens” for them. There is going to be some heavy blow back by people who are convinced that these groups are “Benevolent Aliens Working for the salvation of Humanity”. Those misled people are going to attack the messengers vigorously. We think if the “Cabal Groups” want this information “Disclosed” before the “Mass Disclosure” for their Agenda, then they can be the ones to break this information. If other former “SSP Members” want to pull that “Bee Hive” from the shrubs and shake it up then that is on them. The “SSP Alliance” is avoiding this topic and a few other controversial ones until the right time. In these ancient human societies, did they follow a path similar to our own in terms of a general public sector that is denied the most advanced technologies, while a smaller elite monopolize the technologies in developing a secret space program? Some were very similar. Most developed through a much different “Caste System” where the “Royalty” and “Priesthood” had access to the secrets. The “Priesthood” was usually split up into sub-casts and among those casts would be those in the different “Sciences” or “Magic’s” etc… One constant was that the “Common Person” or “Worker Class” was left completely out of the loop. They would only have “Myths” or “Stories” that would leak out or “Trickle Down”. In many cases the “Priest Caste” seemed to guard the secrets from the other castes. It has been suggested that in our current human civilization, more advanced technology has been publicly shared than in previous civilizations where elites exercised a tighter monopoly over the advanced technologies. Do you agree/disagree with this? I agree to a point. In times when the “Common People” were less sophisticated it was much easier to use mysticism and magical tales to explain away what they were seeing. As Civilization and the “Common People” became more sophisticated and technological this was less and less of an option. The general raising of the “Consciousness” of the general populace is also a factor. The Elites have been working on so many ways to keep the general population ignorant and unaware of the true power of our “Joint/Mass Consciousness and its Co-creative Abilities”… This is the basis of how their Black Magic works and also how they use our own “Joint Consciousness” as a Tool against us to keep us enslaved. I hope this makes sense. I know your readers are very sophisticated themselves so this should be something they understand pretty easily. The temple of Abydos in Egypt has a glyph with advanced technologies (see below), is this technology that was widely known to ancient Egyptian society, or part of their secret space program? Yes, absolutely! Or of one of the prior “breakaway civilizations” who’s “Technology” they were witnessing. Considering the location (The Temple) though and that the “Priest Castes” were sometimes “More in the Know” than their Kings or Rulers… It is a good chance that my answer to your question is directly related to what they were using. We know for sure they were also in “Contact” with both “Off World” groups and “Trickster God/Ancient Breakaway Civilizations”. What do you know of a secret space program that involves ancient Mayans? How sophisticated is their technology relative to other space programs? Yes! They are very peaceful and stay to themselves. They have recently worked with some other groups and helped some people (Including Myself) with some of their “interesting technologies”. Interesting, you would like an example right? Giant Perfectly Geometrically Cylindrical Craft Made of “Polished Stone”. Technologically advanced and telepathic, they use very different types of technological and physics principals. Very much “Mental Interface Technology”. I very much like them from my brief encounters and assistance. Plato wrote about a war between ancient Atlanteans and Greeks where the latter held their own against a more powerful Atlantean force. Is there an Atlantean and/or Greek SSP? These were very often the “Common Caste” or people explaining the best they could in the terms of their era what they observed. There were all kinds of battles that occurred and these were times when both “Off World Groups” and “Ancient Breakaway Groups” would appear in the skies and walk among “Common People” on the ground (leaving their underground embassies/bases or their “Heavenly” bases of operation and observation depending on their Agendas). This could have been a Previous Ancient Breakaway Civilization fighting another one or an Off World Civilization for control of a portion or all of the planet (many of these stories were passed from culture to culture and added to and changed over time.). I did not see anything about an actual “Ancient Greek Breakaway Space Program”. There was some close ties between the Ancient Greeks and one Ancient Breakaway Group that had some genetic and social connections with. The same can be said about the Ancient Romans and one of the more powerful current era Roman Empire Groups. These relationships are complicated and still very controversial in some cases. The Vedas refer to flying cities involved in a great war (Mahabharata) were these cities part of an ancient Indian secret space program, or remnants of earlier civilizations? These were what we would call Carriers in the SSP or “Mother Ships” in Ufology. They were observations of battles between Ancient Breakaway Civilizations and “Off World Beings” much like what was described in other cultures including the Greeks and Vikings etc… These conflicts occurred mostly outside the Earth’s Atmosphere and around the Moon (and further out into the Sol System) but on occasions these battles occurred in the skies, on the ground and below the ground of the Earth in Ancient and even into “Medieval Times” (and later). There are quite a lot of secret records of these conflicts in the possession of the Vatican and other “Elite” Groups that have been “Scanned” into “The Database” that the “Glass Smart Pads” had access to (as well as Off World “Databases” depending on the situations). In your April 6 summary of “the most recent SSP Alliance conference”, you said that you visited three facilities to share information about the Sphere Alliance beings with rank and file warrior members of SSP Alliance, they appeared skeptical of the “hippy love” message of the Sphere Alliance. Is this an attitude shared by the ancient human space program personnel? NO. The Ancient Breakaway Groups are very connected to the “Universal Mind” (Akashic Records), The Law of One philosophies and the true Physics Nature of the universe as well as the way Densities and the completely different topic of Dimensions and Realities Work. They were very quiet and seemed to “Sit Back” and observe the current era SSP’s and Secret Earth Governments as have the “3/4th and 4/5th Density Off-World Groups” who also have been figuring things out fairly quickly. Some of these “Off-World” groups (Draco/Orion & Others) have shown recently that they are willing to sacrifice some of their own lower caste as well as ALL of their “Elite Human Following On Earth” in exchange for clemency and to be allowed to leave Earth and the “Outer Barrier” of the Sol System. They have made these “Direct Offers” in the forms of “Petitions” to the Sphere Being Alliance and have been denied! Some in the “SSP Alliance” (and recent “Defectors” who have joined) thought this would be a “Win/Win” situation and were not at all happy while “Others” in the SSP Alliance were very much behind the decision. You may understand more after the explanation of the MILAB Training I gave above (and quite a lot of the horrible parts I left out) why the “SSP Alliance Rank and File Soldiers” had some problems with the information after being “Fully Briefed” on the Sphere Beings and the “Blue Avians”. As I stated in the report you mention above [see Part 1] most if not all of these personnel have been drafted through the MILAB Programs. One of the larger MILAB Programs in particular (I mention quite a list of their Project names on my Web Site/Blog) is “Project Blue Bird.” The available data you may find states this was a short program during the 1950’s and was closed shortly after that time period. This program not only kept going but broadened in scope and is current. The personnel who had come from “Project Bluebird” were having a very difficult time dealing with the existence of the “Blue Avians” after the briefing. Some of them were “Triggered” and there were some very unpleasant incidents of which I ended up directly intervening in at one of the locations. These people remembered their “MILAB Years” and when I was sent to meet with them all asked the same question after they verified that I was also a former “MILAB Project Bluebird” member/victim… Their question was (I will clean this up for readers by using the word “Frack”) “Sir, Is This Another Mind Frack?” I heard this same question over and over. Once I had described these beings and some of the other SSP Alliance who had witnessed them described them and I delivered “Their Message” the triggers seems to be “Defused” at once and the word spread and they have all been acting quite a bit differently. There are a few people that are working directly for “Cabal/Illuminati Disinformation Cells” down here on Earth and on the Internet that have started “Blogs” and other followings on Forums stating that the “Sphere Being Alliance” and the “Blue Avians” are a giant “PSYOP” and using very clever mixed information they have stolen and meshed together from “The Hidden Hand”, “The Law Of One” and the “SETH” materials. This last bit of information will give them some more fuel that they will use for their purposes but I am delivering the information as it happened and honestly. Those who choose to fall for the clever disinformation narratives these people are creating because they like a good story about a “Recovering Illuminati” that is their choice. We have recently had to cut off what we used to consider “Trusted” friends and sources because of their involvement in this disinformation campaign. Do the ancient human space programs have a more spiritual mindset that has enabled them to remain intact after thousands of years? Only in a couple of cases. Sadly advanced technology and spiritual advancement do not go hand in hand. Several of these “Ancient Breakaway Civilizations” have been VERY dishonest and have presented themselves as “Gods” and “Aliens” from other star systems here to “Help Humanity”. They have taken advantage of people of Earth for many thousands of years and worked with the most corrupt “Off World Groups” when is suited their agenda and with the “Secret Earth Governments and their Syndicates” up until recent times. There seems to have been a falling out with some of these groups and the Secret Earth Governments because they are trying to trick others into exposing the Ancient Breakaway Groups who are pretending to be “Aliens” for what they really are. The Secret Earth Governments and their Syndicates are also in the process of being betrayed by their “Custodian Gods” or “Off World Allies” who are trying to make deals to sacrifice them for the freedom of these “Off world Groups”. These “Opposition SSP’s” and the various Secret Earth Government Syndicates are also turning on each other at this time. They are barely holding things together at all. The “SSP Alliance” has its own problems with cohesion as well. It is quite a mess with all groups both “Above” and “Below”. This could be the breaking points that Humanity needs right now. The Blue Avians stated that things would get a lot tougher before they improve not only because of the nature of “Full Disclosure” and the revelation of the Crimes against Humanity, but also because Humanity needs to have some karmic releases and experience some hard lessons that will stick in our genetic memories that will prevent us from repeating these historical cycles once we are free from manipulation and control by the “Custodian Alien Races/Gods” and their Human Control Systems, the “Secret Earth Government’s, Their Syndicates and the “Babylonian Money Magic Slave System” that have almost always been in place. We will then be responsible for our own futures. I cannot think of a better foundation to start that future off on that that of their Message. To become “More Loving”, To Daily work on becoming “More Service To Others”, To practice “Forgiveness” (To release karma) and to focus on “Raising our Vibrations and Consciousness”. I do not see a down side to this message personally. Can you tell us more about the people of the Mayan Secret Space Program? I loved every moment I spent in their company. Their technology was all neurologically interfaced technology and was very impressive. The device they used to assist me in the the removing of the “Pain” and “Negative Energy Associations” with certain very dark memories was interesting. It was what they called a “Halo” and looked like it was made of “Gold” but was light as a feather. When they put in on top of my head is “Sucked” to my skull/scalp like my head was a magnet. And they looked at a floating console and they never touched but interacted with mentally. As I mentioned, and this was very interesting to me… Their “Vessel” was a “Giant Cylinder that was made of a Thick and Highly Polished Stone”. The inside of the Vessel was also the same highly polished stone (The floors, walls and ceilings). I didn’t see any windows and was told “They do not need them”. They were of great service to me and I am told they have been brought in to assist many of the Humans who have been “Recovered” from Bases and even from slavery in other solar systems. There are secret locations in other Sol Systems that have colonies for these humans to recover as they will not be able to reintegrate with our society anytime soon. This group has assisted them greatly. Many assume that they are “Aliens” that are assisting former Human Slaves. These people just do not have the full facts. David Wilcock says that the Blue Avians appear to be the same Ra that delivered the "Law of One"? No one is asking anyone to give their power away. The Blue Avians appear to be the same Ra that delivered the Law of One. They started out as a positive source — which were drawn as the hawk-headed “Gods” well after they left — and were quickly misconstrued as negative. They repeatedly say in the Law of One that the hawk is their symbol. DW knew of my preconceived idea's on Channeling after what I had observed in the "Programs" and I too had to begin to practice what I was telling others. To be open minded to all of this information yet use my discernment and not just jump on board with something because it sounds good. This has been a major journey for me personally and I being very much a fallible Human Being am still working on myself and things I need to deal with to "Let Go" and "Forgive" to allow myself to "Release some Karma" and continue to try to raise my Vibration and Consciousness more and more on a daily basis. This is quite a challenge for anyone, those who make it sound like a lazy do nothing approach do not want to shine the spot light inward and do the hardest work IMHO. As I say in the Video that will be released, I was raised a Christian, and even though I had crazy MILAB/ET Federation and later SSP Experiences many of us who have a root belief system really have to open our minds and work hard to reconcile some of this information to try to make sense of it. I do not fault those who are not ready or willing to believe it. To be honest, if I had not experienced the life I have and some random guy on the Internet claimed to be talking to 8-9 Foot Tall 6th - 9th Density Blue Bird Beings... I would probably react very harshly. Especially if I was not "Awake" on any level and spent all of my existence inside the the Babylonian Money Magik Slave System and Watching the "Brain Washing Box" (TV) All Evening once I got home from my 9 hours of work and driving in traffic... I do think about those who are living in that paradigm and how difficult things are going to be after the series of "Events" occur that lead to the destruction of their perceived reality and then the time of reeducation and being told the true history of our species and civilization... I said it before, "Ignorance is bliss... Until its not!". In just one of the "UN Type Federations" that was the Human Types of "Off World" Beings Only there were 22 Groups with 22 competing Claims of creating the "Current Human Species". It was all quite confusing for the scientists as all of them had offered scientific proof of their genetic coding and manipulation. It was obvious that there was a base humanoid being that had been augmented genetically for many thousands of years by many groups (Much more than the 22 present at this one Conference, Some were Off World Groups that were said to "Not Exist Anymore"). This is confusing enough before you start to add the other information from the "VERY Non Human Types of Off World Groups" who had their own "UN Types of Federations" that were attended and presented the very same data. In the end it was really decided it didn't matter who all had tinkered with our gene's or contributed their own genes to our own. We were a distinct and different species and had developed an extremely "Wide Spectrum of Emotional, Spiritual and Consciousness" Abilities that These beings were "Jealous Of" (Many were now attempting to splice them into their own genome) and afraid of us realizing our full potential of. This was also true of the "Secret Earth Governments/Groups" who worked to keep us ignorant of our abilities and dumbed us down and continue to do so. They use our "Co-Creative Abilities of Shared Consciousness" against us using it as the basis of their "Magic" in some cases and as weapons against their enemies in other cases. They will do anything to keep us ignorant of these abilities and to keep us from developing them. Right now Consciousness is rising faster than they can keep up with in the general population and they have been considering very drastic measures to knocking it back "Down" as many of you have heard stories of... The boggy may stories of the Illuminati are based on a lot of these plans and actual idea's to reduce population and cause mass chaos to cause us to go into survival mode and stop paying attention to all of this consciousness and spiritual enlightenment information that is seeping through out the minds of humanity because of their closer connections to their higher selves (Most people are not even aware of what is going on or that they are more connected to a higher self as the "Dumbing Down Campaign" has been pervasive). Do the 6,7,8 and 9th density being also have a problem with AI? They do not use any technology as we know it (all done through thought/consciousness/vibratory) at all nor is AI present on their plane of existence...Even the "Spheres" are not a technology by our standards and perceptions but were described at the LOC meeting as "devices" being the closest things we could understand..
What is the Sphere Being/Allie Beings/SSP Allied Ultimate Agenda? I am not going to speculate on the full details that I have not been deemed to have a "Need to Know", but I think it is becoming more and more obvious to those with eyes to see. Whether true or not I have a feeling we will find out with in a short time. The "Cabal Groups" are in panic mode and are already in a separate battle over Earths Financial Control System (AKA Babylonian Money Magic Slave System) against BRIC's AKA "The Alliance". I do not personally see how BRIC's is going to be that much better if any than what was in place before it as long as a Financial Control System is in place (IMHO). Why is there a kind of lock down in effect preventing even some of our own SSP Programs from "Coming or Going" as they wish? There has been a Stealth Civil War going on for some time between the various SSP's (Dark Fleet, Interplanetary Corporate Conglomerate's and the "Solar Warden" Components) as well as the hand full of Ancient Break Away Civilizations of Earth and Each of the "Off World Groups" they are "Allied With". The Sphere's have been entering into the Sol System from 2 directions ("Through our Sol" & from "Outside our Sol System") and remaining "Cloaked" in what has appeared an "Observation Mode" for some time. Recently more and more of these Spheres have arrived in 3 sizes so far observed (One of which is the size of Jupiter 1/1000 the size of the Sol). Very recently these Sphere beings have showing themselves to certain people on Earth and meeting with Human Allies in the SSP that has aligned itself with them and their allies. All that being said, WHY are they preventing the "CABAL Type Human Break Away Groups" from leaving Earth (Escaping?) or their "Off World Allies" that are based on or around Earth as well? It seems that a wide net has been cast around our Sol System and in particular Earth to make sure that "Everyone" is present for the upcoming "Event's" what ever they may be. For those that are Targeted Individuals, by Neg ET, AIs, Black Ops, etc. Is there any effective, permanent way for them to stop the attacks etc that are being done against their will, without permission, consent etc? Even though I have some level of protection I have been "Picked Up" by a Couple Black Op's Groups and "Questioned" about the material I have been releasing and also about how my "Service File" has had huge area's of information removed (It is not supposed to be possible). They asked me if I remembered serving under anyone that would have the ability to do that for me. They had never seen anything like it, and if this person trained me in the "Scattering Technique" that I used on several RV'ers/RI'ers that they had looking into me. They didn't harm me and returned me home. I know I can use my "Scattering Technique" (Technique used by RV/RI to protect "Facilities/Bases" from Remote Viewers, to "Scatter their thoughts or presence. "Program RV'ers" often call them "Those who Scatter") against "Etheric Intrusion or Attacks" but not against Physical Encounters. Unless they are prevented from doing this by another "Group" then it is going to happen. I am told that if it is an ongoing program that on some level you are in agreement on a free will level that you may not be aware of. I know it sounds unacceptable but that is what is said. Sorry I do not have any wooden crosses or silver bullets to give you. Sometimes it is what it is. If you are a MILAB and get in contact with someone like James Bartley they can often find a way to end some of this. I know they have done so with others in the past. I just do not know how it is done. You may think about looking into contacting him or Eve Lorgen. Tell them I sent you. I have talked with James for years and he is a good and trustworthy soul (Honorable Man, IMHO). Can our astral bodies be abducted while our 3D bodies remain where they are? There are off world beings that often pull people out in "Astral Abductions" (For a wide range of reason's both positive and negative). I have had this done to me when I was younger as well as heard others report this to their superiors (We were always supposed to report anything that was out of the ordinary in this very unordinary job). After reporting this kind of thing you would be taken off duty and put through quite a bit of tests and scan's before returning to duty. Are these beings a type of species which exists outside of time and space as we know it? Yes, They have made it known that time is something that they do not experience as we do. They are from another reality so to speak when we refer to a 6th - 9th Density existence. Time/Space and Space/Time on that level are not manifested by their shared/co-creative consciousness complexes. That is as close as I can come to explaining it for our 3/4 D minds to even begin to try to comprehend. Yes, they exist on a higher vibrational plane than we do. Since ALL "Matter, Energy & Thought (Consciousness) are just "States of Vibration". The 3/4D "Solid States" that they have chosen to take (Color, Humanoid/Avian Form etc...) have to do with the the spectrum of their Density (Blue/Indigo) and their physical appearance seems to have a symbolic meaning as well as elicit a long embedded psychological reaction from "US". If they do exist in our localized galaxy - our "dimension" - then "where" would they hail from? If you think of our Galaxy as a "9 Layer Dip" and we are on the 3rd layer they would be on the 6th - 9th layers. They exist within (Sort of) the the Galaxy while being completely separate and not visible or tangible to us. This is something that most of us are not going to be able to wrap our minds around (Not to insult anyone's intelligence) and we need to not get too lost in the details IMHO. If they actually exist as individualized beings who hail from a planetary consciousness naturally - would we even be able to "see" their world or do they exist in another space-time/phase that is out of sync with our own? No, this is not consistent with how I understand the way they exist as a higher density group of beings. This description is very much a 3/4 D "Distortion" and "Overlay" of our concepts and existence on top of what is in reality a much different existence on "Higher Density Realms". Is their "touchy" physicality their natural state? And by the way, what do you mean by "touchy"? Is their physical state aided by some external technology or has their physical evolution enabled them to modify their form unaided? During a communication when I was physically present with "Raw-Tear-Eir" it (No Gender) put it's hand on my forearm while communicating to me that I needed to stop focusing on my negative traits. This was when I was trying desperately to get out of doing any of this and giving excuses that I was an Introvert, was NOT a good Public Speaker and had a "Weak Speaking Voice". Their hand felt solid and a bit "Soft and Powdery". It was a "Physical Encounter". What can we do to aid the sphere beings, and the changes we wish to see take place on Earth? I know this sounds simple but I assure you it is the hardest thing you will ever try to attempt. Their message of making the changes "Within" yourself in order to greatly affect the World in a Positive Way! "They" have communicated that the more of us that follow this "Message" or "Plan" the more we "Rob" the negative entities of the "Emotional Energy" that they "Vampire" off of us to nourish themselves. They stated as the "Change" occurs in our Sol System and the "Vibratory Energy Raises" the "Entity Attachments" that are attached to so many of us will be "Driven Out Of Our Realm" and flee back to "The Realm They Have Come From". These "Entity Attachments" that use people as "Hosts" and drive them to act so negatively to cause "Fear", "Hate", and all of the other "Lower Vibratory Emotions" from their emotional victims "Share" share some of the "Loesche Energy" with their "Host" Humans. When these dark entities are "Driven Back To Their Realms" they will leave their former Hosts writhing and withdrawing from their addiction of this "Energy" like Heroin Addicts. These "Entity Attachments" are also present in other Alien Beings and are used as "Tools" by some of these other Alien Beings as control mechanisms against Humanity. This is just one of many dirty secrets of our existence... SO, TO THE "HIPPY LOVE AND GOLDEN RULE MESSAGE" that the Sphere Beings are trying to get us to focus on. The MORE each of us FOCUS EACH DAY on raising our "Consciousness", becoming more "Service To Others", "Loving" and learn to "Forgive" (Which will nullify much negative Karma)... Once we are able to do this we will begin to rob these beings of this energy. We will begin to "Tip The Scales" in the direction of "LOVE" and away from "FEAR". This is not an easy path I assure you. I have been stumbling around like a newborn trying to practice what "They" want me to preach. They have also stated that it is very important to treat our current vessels (Bodies) like temples and to go on a "High Vibrational Diet" and to cut out the weaponized food that is apart of most of our everyday staple... Wow right? Is that all I have to do? It is a tall order for anyone IMHO. Some very interesting times are coming very soon. If you are not in touch with your "Discernment Filter" now then this is something that each of you should begin to do through what ever belief system you embrace. Pray, Meditate or use your Intellect to get back in touch with that ability we were ALL born with but ALL were at least attempted to become separated from by TPTB. There are a lot of deceptive and self serving agenda's out there as we all know. They are going to attempt to muddy up the waters as much as possible for all of us in the coming months. Can you explain about shared consciousness and what some call the 'Hive Mind'? WE already have a Shared Consciousness... We use it unwittingly to co-create our reality every moment of everyday. It is an extremely powerful thing that we are learning how to connect with more and more as time goes by. We are so undeveloped and segmented (By Ego's and 3D Programming) that we are at the bottom of the "Totem Pole" (So to speak) of our "Higher Selves" connection to that shared consciousness. The more we evolve into higher densities the more we will naturally have access to this shared consciousness. Notice I say "WE" as in "Humans" just as "We" is used in other situations but not interpreted as "WE" equalling "All being one hive group". If a certain racial group were to say "WE" or "THEY" in this current environment it would not go over so well. We already have access to the Universal Mind and Our Joint Consciousness as a species. Some people are more evolved spiritually already and are further up the spectrum and are already fully 4D. Being so "attached" to ones "Ego" is not going to allow them to expand and grow spiritually and certainly will prevent them from becoming highly "Service to Others". The "higher density beings" I have met have "Individual Names" and "Individual Personalities" and "Individual Thoughts"... They have "Access to their Shared Consciousness" on a complete scale compared to where we are. There are no lies or secrets between them nor need there be (It is a state of "Being" that we cannot comprehend yet let alone judge). This is the natural process of how beings progress through the densities as they evolve spiritually... It will happen to everyone eventually but not before you are ready for it. Already established belief systems and perceptions (POV's) can be a hinderance as much as they can be an anchor is stormy times. I read someone state an open mind is like a parachute... I agree, though we need to use discernment. If this does not "Jive" with your current "Reality Bubble" or "Belief System" then it is something that should be ignored fully by such a person. I do think it is responsible to characterize things improperly and that it is a bit prejudiced to state that a higher density shared consciousness is the same as a "Hive Mind" out of preconceived ideas or ignorance of what "Consciousness" is. The only limitations on "Consciousness" are the ones we impose on it our of our own perceptions and programming from our time (Some say many life times) in this 3D experience. You mentioned that they used a kind of sign language to somehow communicate their thoughts? I know my Native American ancestors would use a basic sign language to communicate with other "tribes" of other languages when they met for trade or other reasons. The Native "sign" was universal and all the nations understood what was being said. There was a sign language being used in one of the "UN-type" ET Federation Conferences that all seemed to know (was very basic and reminded me very much of Native American sign). The Blue Avians do "Hand Gestures" when they communicate telepathically to each other and to me. The hand is held up in the "hello" or waving position and the hand and fingers open and close and move around as they communicate. The Blue Avians stated that things would get a lot tougher before they improve? I have no direct information on what these hard lessons will be other than the truths behind full disclosure and our true histories and all of the dark info that accompanies that process... I am certain there is much more to it than this but I just do not know what it is at this point. Is the earth a sphere or is it flat? The "Earth" and ALL other Planet's and Moon's that I observed from orbit and visited while assigned to the Research Vessel I was assigned to were "Spherical". Did you ever had the impression that the sphere alliance have a second agenda for humanity and do you think they maybe force you to tell or do thing that you don't control completely. No Secret/Second Agenda's, They are open and at times brutally honest (Especially when they open up to me about my shortcomings I need to overcome). They do not violate my free will and even when I was asked to be a "Delegate" for them at a conference with the "Committee of 200" (Human Elites) and the "Draco Alliance" (A few of their Federation members Present) where a "14 Ft White Reptilian Royal" was going to be present I was not forced to go and could have backed out. I was able to negotiate a meeting above ground and have 4 SSP Alliance Security Personnel who were also "IE's". They have made their Agenda clear as well as what they consider "Their Responsibility" and what they consider "Our Responsibility" during this energetic change and time pre and post "The Event". It is clear that we have to take personal responsibility (Something many of us are not happy about) and as a part of our karma and spiritual evolution/growth experience need to achieve under our own power (That we have always had yet are only just discovering how to use and understand that it was used as a tool of control against us)... On a 6th – 9th Density Existence they are unable to hide deceptions from each other and it is not a part of how they operate. That is more of a 3rd through 5th Density Behavior. Is the iraqi dinar going to RV this month April? Are there large iridescent reptilians with small wings from argatha. If so are they benaviolent or maleviolent. I have been deep below the Earth’s surface on several occasions. There are is a vast variety in the types of beings that live in the deep caverns beneath the earth. The ecosystems down there and variety of life forms will be shocking one day when there is a "Full Disclosure Event". I have disclosed that there is not a "Hollow Earth" but a very pours "Honey Comb Earth". There are several types of raptors and reptilians that inhabit these regions but are not friendly with each other or the human types that have networks of cities. There are also a number of ET Embassies below the surface and sea of the Earth that various ET’s inhabit. All of the report of the Agartha Network that I saw were that they were all humans from Ancient Break Away Civilizations that had moved underground and out into bases in our Sol System and other Star Systems with a Space Program that they call the "Silver Fleet". I have never heard of any reptilians referred to as Ancient Break Away Civilizations or apart of the Agartha Network. Some people tend to lump all cities and everything in what they believe is a "Hollow Earth" as "Agartha". This is an oversimplification and is not an accurate way to explain or depict the complexity of what is going on below the surface of the Earth and its Oceans. As far as underground Reptilians with wings being benevolent or malevolent, I have only seen reports of reptilians that reside on this planet as being of a malevolent nature by human standards (And to be avoided at all costs). It is harder to make a blanket statement about the Raptors. There are some that work very well with humans and others that will devour a human upon sight. Do some groups on earth have the ability to communicate between dimensions and densities? What are the current situations of significance on some of these other realms? I am not sure I fully understand the question. We all have the ability to communicate with beings in other Densities. Reaching out to communicate to beings and trusting that they are positive in nature can be a very unwise thing to do. There are beings of other Densities around all the time who are very deceptive and are able to read us, our intentions and then use than information to manipulate us by telling us what we desire to hear. They use the "Trickster God" model to convince us that they are here to help us and will often lead us off of a positive path with loving platitudes and new age concepts that they have profiled us and know we will "bite on". Many negative groups and some positive groups have gotten in contact with tricksters with good intentions. They will provide good information and intelligence to keep them on the hook. It is very difficult to know who or what you are truly contacting. Some of the ET's that are allies with the Cabal are 4th - 5th Density Negative Beings that still rely on high technology. These ET/ED groups (White Reptilian Draco Royals) have recently offered to give up their loyal followers (The Cabal/Illuminati/Their lower cast allies) for safe passage of their "Royals" and leaders out of the "Outer Barrier" that is keeping them inside the Sol System. This has caused shock and panic within the cabal groups and they like their "gods" have began to turn on each other and try to position themselves to control the narrative of disclosure in a way that will show them in better light. They do not understand that there cannot be a partial disclosure. This is a literal Pandora's Box. Once the box of disclosure is opened a crack all of the information (Including their crimes against humanity) will come out for all to see and deal with. I've read many Milabs are taken for having genetic connections to hybrids. Is this also the case in the SSP Milabs? There is quite a large number of programs and subprograms that fall under the "MILAB" (Military Abduction) umbrella (Not just the commonly known "Super Soldier" programs). These individuals are identified either through family lineage (Genetics) or through standardized testing in Elementary Schools. Usually people have memories of being taken into Military and ET Facilities between the ages of 6 and 8 years of age (Sometimes as early as 4 years old). Some are a part of a familial genetic program while others are usually "Star Seeds" that meet certain criteria's. The training is designed to condition the children and also identify their personality types as well as any undeveloped gifts they may possess (Esoteric abilities that can be enhanced). Over time as the children grow up they are split off into further subgroups to focus on developing their gifts and pushing their boundaries based on their personalities and ethics. Many times the MILAB's "Wash Out" before they have completed their training and are "Blank Slated" (Memory Removal). These individuals have a very difficult life usually feeling rejected and discarded or useless but with no obvious reason for feeling this way. Many times some of the strongest skeptics on this information are these individuals. There are also the "Catch and Release MILAB's" that are picked up after a chance other worldly encounter or happen to be in the wrong place at the wrong time. They are put through experiments, have genetic sample collections and sometimes are implanted then "Blank Slated" and released never to have another encounter for the rest of their lives. Those raised in the MILAB programs go through many different types of chemical, mental and genetic upgrades many of which must be maintained to remain fully functional. The MILAB's are used as assets throughout their training depending on the needs of their controllers. When they reach a certain point or skill level and emotional maturity (With all they are put through with the Trauma Induced Training, Physical/Mental/Sexual Abuse and Witnessing of Death they tend to mature early in life) they are then "Drafted" out to various Secret Earth Governments, Their Syndicates (Cabal/Illuminati/Other Secret Societies) to where they then infiltrate the Military and Corporate World... As well as are drafted into various Secret Space Programs and other Black Operations on every layer of the onion structure controlled by the "Elite" and their Off World "Gods". There are a wide range of experiences of those who are MILAB's. All of those who have been through these programs have had traumatic lives and suffer some level of PTSD, some however have suffered far worse than others I have found. These are very real programs that continue to this very day. I am told they are ran differently and rely quite a bit more on technology and less on the trauma programming that was used from the 1950's through the 1990's. I cannot verify this for sure though. There is a known group of approximately 5% of these people who the "Blank Slating" (Memory Wipes) did not work on or only worked for a very short period of time (Usually the Intuitive Empaths). These people are identified and watched very closely their entire lives. Yes Gretchen, there are a "Handful" of "Ancient Human Break Away Civilizations". A few are very benevolent and have kept their distance from all of the other groups until recently. They have come forward to assist in the rescue and rehabilitation of some of the Humans that have been "Taken" from Earth by hit and run raids by some negative ET Races as well as Other Human Slaves that were traded to ET's and taken to other Star Systems. Some of these Humans have been through such horrors that they are in no shape yet to return to our current society for a number of reasons. Some of these Ancient Break Away Groups have created Colonies in other Star Systems and have brought large numbers of these victims there to be rehabilitated. I wanted to say this so they all do not get a bad name from my recent disclosures. The majority of them however have been very deceptive and over many hundreds of years have presented themselves as "God's", "Angels" and "ET's from Federations, Councils and Confederations that are here to help Humanity". It was discovered that some groups claiming to be ET were actually Ancient Human Break Away Civilizations that are are from surface civilizations that are now long gone. Then again many of the actual "ET's" were not telling us the truth of where their home star systems were located. In the SSP's we began assigning different designations to "Beings" and not calling them by their "Claimed Star System Origins". This is a very sensitive subject and one that has been filled with disinformation and deception for many years now. After "The Full Disclosure Event" there will be much that will have to be unlearned and relearned by everyone. Before coming forward I did not follow COBRA or TOLEC (Or any other individuals or groups similar to them). I did watch some of the Project Camelot Interviews but that is as far as I looked into what was going on in the Alternative "Truther Movement". I do not know much at all about the information (From 2012portal.blogspot.com) on the "Resistance" or if what they consider "The Event" is the same as what is explained as a Full Disclosure Event by the SSP Alliance that I have contact with. The “Resistance” I am told are made up of “Light Forces” and “Non-Human Beings”. I do not know if this group includes any “Earth Humans” or not. 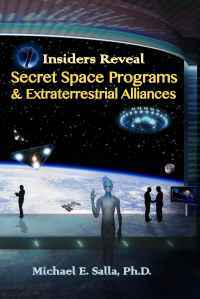 The group I am in contact with is the "Alliance" which is made up of various Secret Space Program Defectors as well as some of their allies that are both ET (& Higher Density Positives/”Sphere Alliance”, 5 beings from 6th-9th Density) and Positive/Ancient Break Away Earth Civilizations who are in a conflict with the Secret Earth Governments, Their Syndicates (Cabal/Illuminati & Other Secret Societies), Multiple Negative ET Federations (& Higher Density Negatives) and Negative/Deceptive Ancient Break Away Earth Civilizations (Often pretending to be ET’s) over the freedom or control of Humanity and the resources of this Sol System (Both “Physical” & “Energetic”). There will be a time of critical mass to where the things that are hidden from the main stream Human societies will no longer be possible to hide. This is not just about the existence of ET Life or Advanced Technologies but also includes a massive hidden history that main stream Earth societies will finally receive the full details of. This will include all of the information of the genetic tampering by off world groups as well as the crimes against humanity by the secretive "Elites" that have ruled over us for thousands of years. This full and complete disclosure and bringing the negative groups to justice will be the Event that many are speaking of. Others are expecting the energetic changes that are occurring in our Sol System to culminate into one sudden Ascension Event. Others expect the Ascension to be a more gradual process. Is the earth hollow ? And if yes what about the others planets in our solar system? There is a “Honeycomb Earth” and not the “Hollow Earth” depicted in some of the images in books and on the Internet. The caverns that interconnect around the entire globe going many miles below the surface are so enormous that no one can even begin to imagine their size. There is also a series of ecosystems within them made up from very simple to complex life forms. For example there are a few types of algae like bacteria’s that “eat” the rock and release both a soil like debris as well as different colors of bioluminescence that provides a decent amount of luminosity for the other parts of its ecosystem. There are plants and animals as well as a list of documented higher level life forms that have both developed below ground, moved below ground in the distant past as well as some off world groups and break away groups that have taken advantage of the honeycomb network below ground for many hundreds of thousands of years. There is quite a number of extremely ancient and advanced technologies that was left behind by a group known to many as “The Ancient Builder Race”. It is said that the “Inner Earth” is littered with this technology. This technology is highly coveted by surface Human Groups, Break Away Groups and Off World Groups because of its uniquely advanced and multi-dimensional nature. Some who listened to my part 2 interview will remember I was brought to a “Living Energetic Crystal Cavern” far below ground when I was a pre-teen as a part of the “IE” training when I was in the MILAB Program. As far as the other “Rocky Planets” in our Sol System I assume they are similar. I know Mars has some similar areas because of some reports and images I was shown at one point. Anything further would be speculation. It is true that quite a few “Moon’s” are hollow and are Space Stations of sorts that are also remnants of “The Ancient Builder Race” (Who are either extinct from their warfare or negatively ascended). The ICC in coordination with the Draco Federation and other Human ET-Like Federations (Some deceptive Earth Breakaway Civilizations pretending to be “Star Being Federations”) have gained access to some of this information. We were heavely sprayed today and have recently checked out erasing The Trails of aluminum/barium with your hands. Because of my unique experience and several positions served while a MILAB and within the SSP’s I have a broad amount of knowledge and first hand experiences. I also have some current and ongoing experiences through being brought back into service of the Sphere Being Alliance (And the SSP Alliance even though they did not like me being forced on them by the Sphere Alliance). I do not have all of the answers and there is info that I never had a "Need To Know" and was never briefed on. I do not know what all is behind the "Chemtrails" or what the multilayered agenda is. All I do know is what I have seen on the Internet since being out of the Programs and there are many other's out there who know much more about this subject than I do. I like to stay away from speculating as much as possible. I do not know about Chemtrails or the details of 9/11. I wanted to answer this question to be clear. If I am ever briefed on this I will share the information. How do you travel to the SSP conferences? By thought/teleportation or by craft? These are "Physical Face to Face Encounters/Meetings". When I am picked up by the SSP Alliance I am picked up by one of a few different shuttle craft that I meet in my back yard. There was actually a sighting and MUFON report made that described it in detail of one of the recent major meetings. This was the first one where Earth Civilian Guests were brought to the LOC Moon Base (This is as close to a date I will give of the incident. The MUFON report has very specific info of where I live in it.). When I am picked up by the Sphere Being Alliance one of the actual energetic "Sphere Beings" themselves arrive in my bedroom. I am awakened with a blue/purple light in my room (I normally am expecting them per prior contact). The orb will zig-zags around my room until I stand up and spread my arms and mentally indicate I am ready. It then zips to about 18 inches of my chest and then instantly goes from the size of a golf ball/baseball to a size where I am completely inside the orb and floating directly in the center. It then travels so quickly that time/space seems to blur in a way that took a while to acclimate to. A moment later I am at the destination where I have been designated to appear on behalf of the Sphere Being Alliance as a "Delegate" or to meet with SSP Alliance Personnel. After some SSP Alliance Shuttle sightings and reports they have moved to mostly picking me up using the energetic orbs. There have been a few recent exceptions to that newer SOP because of some unplanned operational incidents. What are your reasons for coming forward and disclosing this information? I initially intended to come forward as an anonymous source providing information to researchers who were getting a lot of disinformation from people. I first felt compelled to share information quietly in the background going back at least 8 years ago with select researchers. I was then talked into making an audio interview I had made for a researcher for their research purposes only public on their Forum. I then began doing Questions and Answers there and later on moved to another Forum to do even more "Q & A's". I then got in contact with David Wilcock who I had provided information to in the past but had not talked to for a few years. I asked him to look over my information and get back to me if he was interested in bringing some of it public. He contacted me via Skype and was dumbfounded at the scope of topics I had covered and we then began an exhaustive process of him vetting me. After months and dozens of hours of conversations where he would question me against information from other insiders and use trick questions and other methods to detect trickery or deception he stated he had over 200 points of correlation with other insiders information he had never released (That still has not been released) and there were zero red flags or signs of deception. After that we moved forward and began to work on a trusting relationship. I have shared some very personal and horrible experiences with him that he recorded and took full notes on. I had been seriously wronged by a few other researchers and developing trust with another one in a way that I could open up and give some of the full information to, was not an easy process for me. There were things I had done and was a part of in the "Programs" that I am still very ashamed and upset about. Coming forward has been partly good therapy for me to get over some of that trauma as well as sharing some information with Humanity that they deserve to know. Not very long after much of this information began to come out I was contacted again by the Blue Avians and told that I had a job to do on their behalf if I accepted it. I accepted the offer and was told thing would begin to move quickly. Not long after that I was contacted by the SSP Alliance who was very unhappy that they had received my name from the Blue Avians and were told that I was going to be the representative speaking on behalf of the Sphere Alliance to the SSP Alliance and represent them as a "Delegate" in ET Federation Conferences. The SSP Alliance in the beginning was somewhat hostile towards me and refused to assist me in several ways that I requested (Including using their healing technology on recent injuries I had sustained). The relationship between the SSP Alliance and the Sphere Alliance (And Myself) has been bumpy from the beginning but has improved dramatically over the last couple of months. How many federations are in the galaxy? Can you tell me the name and where they are located? There are Several ET Federations that are working together in a sort of Super Federation of Humanlike ET's as well as an alliance of Non-Human ET's that have "Delegates" and "Members" trapped in our Sol System right now behind the "Outer Barrier". There are also ET's that normally travel through our Sol System like a Galactic Silk Road that are parts of other Federations elsewhere in the Galaxy. I could not tell you how many Federations there are in our Galaxy alone. When will the gross Alkiand below Dallas and Dulce be eradicated? While a MILAB I was taken below ground into a network and a "Tube System" that was similar to a Maglev Train suspended in a Vacuum Tube (Similar to the old Bank Tubes that were used in the 1980's and prior). These "Trains" traveled at extreme speeds and flew through the tubes more like a "Rail Gun Projectile". I have visited some underground and undersea bases all across the globe during the times I was transported via this system (Often the only hint of where you were would be the accent of certain people present if you were lucky). I have been asked by a few researchers about the "Dulce Base". While I was given indepth information about many other bases and visited many others (Granted tours and showed how the undersea bases were built and maintained etc...), I was never briefed nor did I ever hear of a base at "Dulce" or of one like it in that region. I have absolutely no knowledge of this base or whether it actually exists or not. There are a lot of respectable researchers and former SSP Personnel who have claimed firsthand experience/knowledge of the base and its activities. This could just be an example of the extreme compartmentalization (I do not claim to know everything, some people hold other parts of the puzzle that I was not exposed to.). I was witness to similar and much worse types of activities and crimes against Humanity in "Off World" locations so it is not a major stretch of the imagination for me to believe these stories are real. I do know that after a certain amount of distance below ground you are considered to be in "International Territory" much like in the worlds Airspace and Oceans. In these area's the laws are almost nonexistent and if they are hidden from satellite if there is no evidence they do not exist in International Courts. These are the tricks that the "Elite" use all of the time. Again, I do not know anything about the existence or activities of a base referenced to as "Dulce". What is the best method of contacting the Sphere beings or Blue Avians to offer your service? Any special meditation? How can we form groups of likeminded peple to work together? This is the most important part of what the Blue Avians wanted me to pass along. The best thing to do is to not look to outside sources or people as saviors. People keep misrepresenting what I am saying about the Sphere Alliance and saying that they are just more "Higher Dimensional Saviors" from a "Savior Model" when I have been extremely clear they are not. Their message was presented for a reason. It is a simple yet not easy path to follow (That is the backbone of many faiths). We can change the world one person at a time, that one person being ourselves. That is not the answer most people want to hear. Most people want a savior in the form of ET's or ED's to fly down from the clouds and wipe out all negativity from our reality when this was a learning environment designed for us to evolve in and to karmically grow and resolve our own issues. We have had the power from the beginning to resolve these issues. We have the true power of Co-Creative Consciousness that the Elite has used against us as the basis of their Black Magic. If we reclaim that power we could reclaim our freedom and change our reality to a positive one very quickly. This is being learned by more and more people who are being awakened every day. At some point we will hit critical mass and along with the vibrational changes our Sol System is going through and the Consciousness Awakening we will solve these problems ourselves. I am adding the "Blue Avian Message" once again below that also warns against hero/guru worship. We are the problem and we are the solution to the world’s problems. We just need to make the painful inward changes and the rest will be taken care of by a fully awakened and conscious humanity. Have you studied the law of one? Concerning ET and Earth history, aren't the Blue Avians the ones that taught Social Memory Complex Ra? I have not been a student of the "Law of One" material. When I began providing the details of my interactions with the Blue Avians to David Wilcock he began mentioning the Law of One material and "RA" quite often to help explain some of the concepts that the Blue Avians were imparting to me. They are very cryptic and often do not answer my questions in the way I would have wanted. DW would reveal that this was almost exactly how "RA" would respond to the questions asked by those involved in that massive research and experiment project. I had discussed with DW that because of my experience in the SSP and seeing technologies used on people in PsyOp's to make them believe they were "Channeling" ascended masters, ET's and Beings from other Dimensions that I was leery of Channeled material. It was also a fact that certain groups in the SSP's and Secret Earth Government Syndicates (Cabal/Illuminati) were required to read the Law of One and Seth Material while trying to discredit it to the public with the many "PsyOp Channelings" (Which says a lot in itself). It was not until much later in our conversations that I began to come around and became open to the possibility that the Sphere Alliance may be associated with the "RA" group that is quoted from in the Law of One. All of the Blue Avian information however is very much "Law of One" related (Again and again the Blue Avian information all seems to validate the LO0 Material and vise versa). I decided I was going to study the Law of One and ordered the books. They arrived in the beginning of May. When I opened the box and saw all of the books I was overwhelmed. With all of the conferences I am attending on behalf of the Sphere Alliance and other activities I am doing for the SSP Alliance time is a luxury. I am going to have to make my way through this material at some point. The answers to many of people's questions (Like Why are negatives allowed to control Earth and violate free will? Why don't the Higher Density Positives come and save us? And many others) are answered in these texts. I have been to some very recent SSP and meetings with the Blue Avians and am told to expect to be a delegate at the Federation Conferences once again beginning the first week of June. I am certain studying this material would be beneficial in these conferences and I recommend that everyone orders the books and studies them. I do not suggest that anyone abandons their religious beliefs or faiths by any means as I have kept mine in tact even with all I have experienced. This information may compliment or enhance some knowledge in some ways IMHO. Do you know what goes on at the higher levels of the Masonic Lodge? No. I do not know any more about what goes on in the Masonic Lodges than anyone else. There are rumors on the Internet but I do not know for sure. When I worked at the Federal Reserve I was invited to a couple of local Masonic Lodges as a guest but I was made to sit outside the hall while they had their meetings and then joined them for meals that were prepared in the lodges where I was asked a lot of questions as sort of an interview. I never became a Mason or joined any other secret society. My curiosity of these secret societies did get me approached by a couple. I've been wondering, what do MILABS and others in the SSP's and the labourers/slaves in the colonies eat? Do they grow or import food, or do they have artificial stuf and vitamins, or replicators, or what? It is a combination. They rely on Replicators and Aquaponics for fresh food and nutrients. There is also a whole lot of consuming of rations and protein mixes. It really depends on where you are assigned and what you have access to. In an interview with Michael Salla you mentioned the ET/ED AI . I understand the ET for extraterrestrial, the AI for Artificial Inteligence, but what does means the ED, whats the "ED" stand for? ED = Extra Dimensional. They are believed to originate from another reality or dimension but have been here in ours infesting multiple Galaxies many Hundreds of Millions of Years at least. If you actually do meet with higher dimensional beings, is there not a way that they could heal you ? rather than getting cut open in an American hospital? This is a question I get quite often. I did request access to the healing technologies that I know the SSP has when I was first brought back into this situation. As it happens I was pretty much forced down the SSP Alliances throats as being the Sphere Being Alliance Delegate and Representative in these Federation Conferences. It turns out that the person I report to that is a member of the SSP Alliance Council has also been in contact with the Blue Avians for the same number of years as I have. The SSP Alliance Council firmly wanted him to be the Sphere Being Alliance Delegate. Instead they were told through this individual to contact me by name and that I was their choice for this position. When I first started meeting with the SSP Alliance there was obvious hostility towards me. When I asked for access to the healing technologies to correct the damage to my body from a recent injury I was told "You do not work for us". That seemed to be their last word on the subject and even though relations have improved they have not offered to provide this assistance. The Sphere Being Alliance are made up of 6th through 9th Density Beings according to what they directly communicated to me. They do not directly interfere in our free will or our karmic process. Therefore I have been at the mercy of the barbaric medical technology of our current era civilization on the surface of the Earth. It is obvious that they want me back in action very soon as I am over 3 weeks ahead of where I was in my last rotator cuff and bicep tendon reconstruction. I am already using both arms quite a bit and am scheduled to attend conferences on their behalf the first week of June. I would love to have had access to the technologies that I did in my previous service in the SSP. This all seems to be a part of a plan and I am going with the flow. I am putting faith in the process with my medical situation just as I am with my career and supporting my family. For those who do not believe me and are looking for anything to validate their beliefs this may be what they are looking for. That is for everyone else to decide and discern for their selves. I am going to continue to follow the path that has been laid out before me and have faith that it is unfolding the way it is for a reason. How was racism seeded so deeply in the world? What was the purpose in grand history Ann cultural memories? Racism was used to both promote racial purity and separation of genetic lines that were apart of ET experiments as well as a tool by the Elites to divide and conquer us. Many of the Elite groups also believe they come from the blood lines of the Ancient Builder Race and others from the Royal Reptilians. This causes them to look at the rest of humanity in the same way as some of these ET's do, as useless eaters and cattle. Mostly in the current era there is a mixture of the Elite view of all groups they consider beneath them and the tactic of causing us to distrust and hate each other so that we never join together and become a threat to them. We play into their hands on the racism and hate tactic far too easily. What do you know of the city that was found in the Orion star system? I have not heard about this subject. There are quite a lot of ancient ruins within our own Sol System though. Have the Blue Avians ever mention the work of Carla Ruekert, Don Elkins and Jim McCarty, and the Law of One material? Are these beings part of the same "social memory complex" that L/L Research contacted? No, they have not brought up this information directly or claimed to be the same beings. They were asked directly by a SSP Alliance Commander in our first meeting "Are you the RA from the Law of One?" and the Blue Avian that was present responded with only the following phrase, "I am Raw-Tear-Eir". That was their full answer and we moved on to the next SSP Alliance question. RA stated years ago that 65 million "soul wanderers" from 5 & 6D incarnated on earth to help raise it's vibrations. Any indication from the Sphere Beings as to their (wanderer's) purpose and role now, during this critial transistion? All indications are that this number has since grown. The majority of MILAB's are "Star Seeds" and the "Cabal Groups" have been very interested in identifying and using trauma to cause these individuals to stray from their "Soul Missions". These "Cabal Groups" seem to be very concerned about these individuals and the part they will play in the near future. The Blue Avians have had large numbers of regular citizens who are most likely "Star Seeds" being communicated to by Blue/Indigo Colored Orb Beings as well as inviting many of them recently to come up and attend meetings and classes. The Blue Avians have communicated that these individuals will have a major part to play in future events but have not shared any details. They are careful not to share certain information about our future as it can interfere with our current progress and balancing of our karma. All of those photo's were taken prior to the intervention and assistance of the Mayan Ancient Break Away Group and when I was freed from "Entity Attachments" by calling on the name of Jesus (The religion I was raised on). Those who have listened to the part 2 audio interview have heard me describe seeing these entities fleeing and screaming in many groups of about a dozen. My family tells me I am a completely different person now who is pleasant and fun to be around. I was always told I had an air of darkness about me prior to that intervention. Yes, I was suffering from and was being treated for "Complex-PTSD" and had quite a lot of spiritual and psychological pain from what all had happened to me, I had been involved in and witnessed in my lifetime. It didn't help that I had a difficult home life as a child growing up as well. I still have worries that when full disclosure occurs that I may get lumped in with the negative groups by the angry public because of the programs I was forced to take part in. That is why it is very important to me to truthfully provide this information to humanity and maintain a clear conscience and karma. There are many individuals who have had backgrounds like mine (Working in multiple programs that included the darker ones) that end up taking their own lives or drinking themselves to death. I was in a very bad place before the intervention and assistance that was provided (Called in by the SSP Alliance) by the Mayan Ancient Break Away Group. I look forward to the future "Post Disclosure" time when all of those who are trapped working in dark programs or as slave labor on bases and facilities through out our Sol System are finally freed and handed over to the Mayan Groups to undergo the healing they deserve. For now they are stuck in their current environments both here on Earth and in the various Bases, Facilities and Stations through out our Sol System. Upon hearing about the vast number of humans who have been picked up and forced to be off-world slaves, would you say this discredits the new age view that we choose the circumstances of our lifetimes? Or have these people chosen this life? No. One who has built up much negative karma in previous life times may have chosen to incarnate into a lifetime where they will be victimized and have the ability to burn off a huge bulk of karma in one lifetime. If these souls understand that the energetic shift is about to occur and time to burn off negative karma is short they may have chosen this path. It is a horrible thing to think about but when it comes down to it the people doing the slavery are building up negative karma by their actions. There is no way of knowing any of this for certain. I am not a spiritual guru with all of the answers. All I can do is speculate on some of these matters with the information I have observed in my lifetime. I used to have a major problem with the "RA Material" as many know. After having direct contact for years with these 6th - 9th Density Beings and they deliver information that is the same I have decided to give the information another chance. Some may want to check that material for some of these answers. I am not going to pretend to have the answers to all of life's mysteries. Why have "I" not been brought in front of the Avians or any of the counsels for that matter.After all "I" would like to know why they are hesitating in this matter. The answer to that question is most likely in the tone and way the question was presented. I added the quotation around "I" in the question to make a point. The BA's are not looking to make contact or be contacted by curious people or people locked up in their ego's. They do not want people to begin to worship them or to create a cult or religion out of their message (They stated this has occurred three times prior). They do not want anyone who claims to be in contact with them misrepresenting their information or hijacking their message for personal gain or ego. This is the reason THEY created a protocol for those of us in contact with them to know each other by. Otherwise anyone could say "I am in contact with the BA's" and then begin to start web sites and start a whole new narrative based on their belief systems and draw attention to themselves. I already receive over a dozen emails per week of people stating they are in contact with the BA's and give wild guesses as to what the "Formal Greeting" is. As stated prior there are a number of people that are being brought up to SSP Alliance Council Conferences and to Spheres to meet with the 5 different Sphere Being Alliance Groups on a regular basis. Most of these people are "Wanderers" and "Star Seeds". There has been one trollish individual that is upset that I didn't answer Question 47 to their liking. They wanted to know how to contact the Blue Avians. They did not get the point of my answer. That point being that we should not be seeking them out but should be working on what they presented in their "Message" (Which are tenants of many religions). To change the world one person at a time (Ourselves) by becoming more loving, forgiving and focusing on becoming STO, raising our vibrations and consciousness. How do the Blue Avians or Sphere Beings communicate with you when you are at home? In the beginning it was mostly through dreams and with Blue/Indigo Orb Beings appearing in the room with me. The "Orbs" would pulse/vibrate as I would receive a telepathic message. Once the message was delivered the orbs would "zig zag" around the room and then zip through a wall or the ceiling. The Blue Avian "Raw-Tear-Eir" then started to appear in my home before me with no warning. Interestingly enough my dog has been present for just about every one of the Orb Being and Blue Avian appearances. The actual communications are the typical "Mind to Mind" communications (I Speak Aloud Still) while they raise one hand and make gestures and a type of sign language at the same time. They do this when communicating with each other as well even though they are telepathic. I do not know the purpose of the sign language and gestures. If it is communicating anything to me (Beyond the telepathic information) it is information that is occurring on a subconscious or "Higher Self" level. Many thousand of people are in contact with the Sphere Alliance and do not realize it consciously. Many who are seeing "Orb Beings" are being communicated with on a subconscious or "Higher Self" level. The majority of people being contacted by the Sphere Being Alliance are "Wanderers" or "Star Seeds". This is also the case having to do with the large number of people being brought up to conferences and meeting the 5 different Sphere Alliance Groups. Approximately 1 year ago it was reported that 11,000 cabal family members whom wanted out were remove by positve et craft, put in a tranquil holographic reality and underwent rehab for traumas they endured. Can you comment on this at all? I do not know anything about this specific case or story. This does sound similar to the Mayan Break Away Civilization planets that have been working to assist Humans and Human Like ET's remove trauma "Energies" associated with certain memories and actions. If these people also provided intelligence to the Alliance they are more than likely a part of the "Off World Witness Protection Program". This is complete speculation on my part since I have seen no information in "Program Documentation" on the number "11,000 Cabal Family members" being mentioned. I cannot confirm or deny this information. Is there any information you are aware of regarding the object known as 'Comet Ison' which passed by around the end of 2013? Thank you. It was just a comet. It was one that just happened to have been hyped up by some individuals and the hype was so high that it still hasn't gone away. All comets and bodies traveling through our Sol System have a magnetic and energetic connection to each other and the Sun. They all have an influence on one another. This was one such object. Is the earth rotation actural meaning is the earth rotating fast at the poles then at the equator? If this is a "Round" about way (pun intended) if the world is "Flat" or a "Sphere" I have already come out and stated that the Earth is not Fat. I know some are going into philosophical exercises about perception, the holographic universe and points of view on this subject. All I can say is I have left the surface of this planet (Earth), of Mars and of a couple Moons and been in orbit of many of the planetary bodies in our Sol System in SSP Vessels for extended periods of time. They were ALL "Spherical" in their geometry. Further more each has a Torsion Physics effect on the rest of the bodies in our Sol System indicating spin and torsion of space/time. I don't know how many times I have been asked this question. I understand the philosophical arguments and why these mental exercises are used. As usual people take these concepts a little too far. We tend to make everything into a belief system that once accepted is then defended out of ego. Another source says all SSP bases except 2 have now been cleared. Is this true? There are still over 100 Colonies, Bases, and Industrial Facilities/Plants in the Moon, Main Asteroid Belt, Mars and several other moons and bodies in our Sol System. There are also many free floating space stations that still have personnel manning them and are fully operational with space vessels docking with them on a regular basis. This ICC infrastructure will be maintained and kept intact until after the "Full Disclosure Event" when it will then be handed over to the "A.D" (After Disclosure) Civilization of Earth that will be a 3rd to 4th Density transitional civilization. Those personnel who are "slave labor" will then be transported to an allied groups colony where they will be rehabilitated from the traumatic experiences of their lives in these ICC controlled bases/colonies. The SSP Alliance Council and Sphere Alliance Delegates have been invited to one of the Mars colonies just this morning to try to convince them that these people are not slaves and are living and working in these facilities out of their own free wills. The ICC says we will be given a tour as well as given full access to the residents. I overheard one SSP Alliance Council Member state that this sounds much like a stunt that the N. Koreans would pull. The invitation has not been accepted yet and is still being negotiated. We have stated that we would like to pick the base/colony we tour and have the conference at in the last hours before its scheduled time as well as be allowed to bring some of the people (Full Families) back with us. The SSP Alliance was fairly confident this last demand would be a sticking point and cause the ICC to withdraw the invitation. The last I heard that has not happened yet. I covered the information about the SSP Bases in a recent article with Dr. Michael Salla and will be covering the recent SSP Alliance and ET Super Federation Council Meetings in a report here on this website. Do you recognize any of the members of the committee of "200" as members of any Earth based governments or public servants that the rest of us would also be able to recognize if we were in your position? No, these are all high level people that the "Elites" report up the chain of command to after our "Public Servants" report to them. These are not people you are going to see on the evening news or in news papers. These same people were present at the "Draco White Royal Conference" and were the ones who introduced it to us. As a MILAB were you ever tortured or molested? I ask because in Drake's program, they are saying because you are a Super Soldier (who disassociate) that you may be hallucinating. I want to believe you. First of all I am not a "Super Soldier". I have never claimed to be a "Super Soldier" and have no idea how that term got attached to my name. That is disinformation number one. Second, there is an Illuminati Agent who is presenting himself as a "Former Illuminati Insider" who is working for the Cabal as a part of the "Dis-information Campaign" that I warned about a few months ago. This person is also doing their best to assist the Cabal/Illuminati in controlling the "Disclosure Narrative" to their benefit. This person is a "Personality Metamorph" and is at their own admission highly trained at counter intelligence and "PSYOPS". They have somehow endeared themselves with their silver tongue to a few researchers by telling these people things they want to hear. I used to speak to this person and I put them in contact with David Wilcock and they gave a large amount of information to him. They got in trouble for this and were forced "Back on the payroll". This person then began to claim they were in contact with the Blue Avians and were caught in some other untruths. After they saw that we (DW and I) were backing off from contact with them they started a Blog 3 days later. They have seduced several rather intelligent people who will emotionally fight for them tooth and toenail in an irrational way and then will come back and engage you calmly. It is bizarre to witness but this is one of the main reasons I do not take part in Internet Forum's any longer. The group (Illuminati/Cabal) that this person serves is extremely afraid of "Star Seeds" and "Wanderers". They do whatever it takes to pull these people off of their soul missions or paths by using "Fear" or "Anger". They seem to believe these people will somehow be the keys to end their power in the future. Most of the people they have brought into these dark programs are "Star Seeds"/"Wanderers" who they corrupt and then once brought over to the "Dark Side" use as tools against the others as well as are then less likely to pose a threat to them in the future. By spinning the narrative and saying that the Orb Beings that are visiting and contacting "Star Seeds" and "Wanderers" are "AI's" they are trying once again to use "FEAR" to keep these people from their soul missions or paths. I am going on the record to say I am not a "Super Soldier" and that I am not recalling memories from anyone else. These are all physical encounters and not "Channeling" where I have had one of the Blue Avians physically put his hand on my forearm. These are not any sort of memory implants or mind control. Those who have heard my first two interviews know that I went through a cleansing of entity attachments via using the name of Jesus (Which is not popular with many). I was a MILAB and there are many dozens of programs that fall under the MILAB Umbrella. I was an "Intuitive Empath" and was not in any of the more sadistic "Super Soldier" programs. Anyone who uses the term "Super Soldier" along with my name is someone who has not really fully looked into this information (As a true researcher would) and is just repeating disinformation from this "Illuminati Agent" (Who at this moment has a maniacal grin on his face reading this). He has further stated that the Draco are leaving the Earth of their own free will in September for all to see and feel. This is something that will not occur and will end up making Drake look foolish (Drake was targeted because some of the lower level "Earth Based Alliance" listen to his shows). Hopefully he realizes he has been targeted and used at some point. It will be difficult though with this trained dis-info agent having such direct access to him. A warning has gone out to many in the Earth Based Alliance about the current situation (Not just this one Illuminati Agent). The Draco are stuck here behind the barrier. They will remain here and are suffering from the energetic waves that are occurring as well as being starved of "loosh" from the awakening population. They will be here for a future judgement along with the "pawns" they tried to give up for safe passage out of this Sol System. Those who they enslaved and victimized will be their judges! Those who choose to follow this "Illuminati Agent" (Who will continue to deny what they are) or allow themselves to be seduced by them will find out soon enough what a mistake they have made. It will be yet another major disappointment. I will not get into any circular debates with any of their followers who feel compelled to post attacks in comment sections of articles and on forums after this. All I can say is be wise and use discernment. If this Illuminati Agents message sounds enticing to you then it is your free will to follow it. It is also your karma and spiritual path that is at stake. Do not be deceived this close to the end of the journey. The Blue Avians are not here as "saviors" and have put forth a loving and peaceful message that states that you have to be your own savior. These are not "AI's" as some of these groups who are "AI Prophets would have you believe. They are angry that I disclosed this information and there will be other agents who come forward to discredit the information presented. They cannot have the truth floating around in your consciousness and must find a way to distort it. What advice would you give to other people who are starting to be visited by similar orbs that surround their bodies in a canopy-like covering? In my case, the orbs all came together before circling my body. Also heard a strange sound in my ears. These "Blue" to "Indigo" orbs are higher density beings. They are 1 of the 5 beings that make up the Sphere Being Alliance (Maybe the highest density of the 5 beings). I have not confirmed this yet but I believe (From my direct experiences with and in both) that the thousands of giant spheres that are in our Sol System are actually these very same "Orb Beings" on a much larger scale. They normally appear to people in the size range of approximately a "Golf Ball" to a "Beach Ball". They are appearing on a much larger scale in recent months than they were previously (Which was already in the many tens of thousands). They are appearing to "Star Seeds" and "Wanderers" as a part of their awakening process. They are also appearing to them and communicating to them both consciously and on a subconscious (Or Higher Self) level. This is to begin to remind these people of their "Soul Mission" or purpose for being here. These people are here on the planet at this time to assist in raising the vibration of the planet and its people in some cases with just their presence. There are others that have specific tasks to complete in this lifetime. If you are being visited by these "Orb Beings" it is very likely that you are a "Star Seed" or a "Wanderer". It is a good idea to do some research on this topic to see if the descriptions fit your outlook on life and personality. There have been quite a number of people who have been brought up to the LOC for conferences who fall into this category in recent months. These people also report having a number of dreams of being in a classroom environment with other "Star Seeds" and "Wanderers". This all seems to be a part of the preparation for what parts they will play in the "A.D. Civilization" (After Disclosure). It appears that these people have been instructed to keep a low profile for now for their own security. There is some recent disinformation going around right now that is designed to create fear in those who have seen or been contacted by these "Orb Beings" by telling them they are being deceived by an "AI Program". This IS the Illuminati/Cabal attempting to neutralize what they see as a threat. They have been cataloging as many “Star Seeds” and “Wanderers” as possible to target with fear tactics and traumatic experiences to keep them off of their paths or soul missions. They seem to believe these people will be a major threat to their power at some point in the near future and consider them a danger. Most of those who have been brought into their programs have been these people who they have corrupted and turned to the “Dark Side” to be weaponized for their own purposes. If you are seeing these “Orb Beings” or are being communicated with by them I would recommend spending time in Meditation or Prayer about it (Whatever your belief system, no need to change it). Focus on what this means and what it is you think your purpose is in life. I would also recommend doubling your efforts to become more loving, forgiving (To break the cycle of karma) and focus on raising your vibration and consciousness in order to be of Service To Others. People seem to fixate on the Blue Avians out of the 5 groups of the Sphere Being Alliance. These “Orb Beings” seem to be the highest density of this group and may be the “spheres” in Sphere Being Alliance. Do not underestimate the importance of their presence and contact. Do not only long only for contact with the Blue Avians. Thank you for your question, it allowed me to cover some details that I have wanted to for some time now. Has RAW-TEAR-EIR or any of the Sphere Beings insisted that you agree to any kind of binding contract with them for the work that you are doing. Or have you from the outset made the decision to do this work mainly of your own free will? This is all a "Free Will" arrangement. I could have said no and I could back out if I felt compelled to. I do feel it would have an effect on my karma as apparently this is a "Soul Mission" of mine. I may have made this agreement before I entered into this life. The Blue Avians do not coerce, manipulate or deceive people to get them to follow an agenda. As 3rd density beings who always have agendas for our actions we assume the same of higher density beings which is not always the case. Those who do have agendas are not necessarily only going to have ones that are "Service To Self". We as 3rd density (Transitioning into 4th density) beings have quite a lot of deprogramming to do and much to learn about "Natural Law" and higher density concepts. For most, dropping their ensconced belief systems and opening up to a new way of thinking will not occur until they are forced to by events following a "Full Disclosure" event. Captain Mark Richards states he has been part of the Secret Space Program. Why has he been imprisoned? The PTB have many ways to control assets or to discredit them if they were to come forward. I do not know if he is innocent of what he was convicted of or not. He could very well be innocent and falsely imprisoned, it would not be the first time this tactic has been used. There are not only multiple groups and secret space programs but there are many levels of compartmentalization inside of each. It is common for people in each group or compartment to be told that they are at the top of the totem pole as far as security clearance and knowledge of the full picture of what is occurring in the Sol System and these people believe it. In recent months however they have been getting briefings and being told more detailed information than ever before (Those in the SSP Alliance that is). Those that were in the SSP but are now out or are in the Cabal controlled programs are still either uninformed or under strict compartmentalization of information. I do not know the full story behind “Cpt. Mark Richards” or which groups he was or is assigned to. He hasn’t been interviewed since a lot of the recent SSP Alliance Conferences and Public Disclosures have occurred. It will be interesting to see what he has heard from his sources (If he still has them being in prison) on recent events. If he is innocent and an honorable SSP member he will be freed at a future point when a Full Disclosure event occurs and will most likely testify in a world court against those who falsely imprisoned him (If this indeed occurred). If this is the case I hope he stays safe to be able to enjoy freedom once again (With his wife). There are so many crimes against humanity to be answered for by these groups that I am sure there will be others who will be release from false imprisonments as well. Hi Corey. You commented on Dr. Salla's page that anything less than Full Disclosure is a sign of 'SPIN'. With that being said how would I or the average person know that we are getting FULL DISCLOSURE when information starts to come out? A full disclosure event would consist of a major data dump on the Internet with many hundreds of thousands of document, audio and video files on multiple mirrored sites for everyone to have access to. There would be a collapse of the corporate media machine and a 24/7 television and radio education campaign would be initiated .Not all channels and stations would be co-opted so people are not overwhelmed and could "tune out" as they needed to due to the stress. If a person or group go public and reveal the existence of ET visitation and some advanced technologies, but not technologies that would collapse a "New Financial System" or reveal the crimes against humanity that have been perpetrated by the "Human Elite" and certain "Off World" or "Ancient Break Away Groups" then you have not been told the whole truth. That would be a partial disclosure where the narrative has been controlled by a group preserving their power and avoiding the release of their crimes. The majority of the world would be shocked by this information alone and it would occupy their imaginations for some time. Very few of us at the current moment would realize that this was just another deception. That is why some of us are disclosing what we are now so that other whistle blowers will come forward when they see it is safe to do so. If you are thinking of coming forward with information and become an anonymous or open whistle blower please Contact Myself, David Wilcock or Michael Salla to make sure you will be handled in an ETHICAL and secure manner. There is an older gentleman who was formerly in the U.S. Air Force and joint DOD/NASA "Black Astronaut" teams who has recently been attending SSP Alliance Council meetings that goes by "Chip" Johnson. He is now stationed 100% off world and was brought in from the Military Black Op's Space Programs as apart of the more recent defector groups that have been included. I only know this name because he was the only person of that group who was asking a number of questions. Most of the people in that group have kept mostly to themselves with their arms crossed and sit and listen at these council meetings. I doubt this is the same person however. The person you are referring to is most likely higher level and in one of the corporate SSP's if he is indeed alive and still apart of the programs. As far as the actual name you mention, there are far too many people for me to remember all of their names even on the SSP Alliance Council itself. If you can find a way to contact me in a secure way I'd be willing to discuss this in more detail. Millions of people are seeing the 11:11 time prompts,can you share your opinion on this please. This is a strange synchronicity that I too have had for many years. I seem to look at the clock and see 11:11 or *:33 many times a day. Even different clocks that are a few minutes off will catch my eye at these times. It is very strange and I believe it is telling you that you are on the awakening path spiritually. I don't know for sure what it means, no one really does. I have heard many theories. I have noticed this going on for more than 20 years now. In your FAQ on your site you've mentioned that people ask you if BA are "known 4th/5th D Groups that are traveling here from the Central part of our Galaxy on behest of the "13" to assist "US"", what do you reckon this 13 represents? This is some information that is possibly very controversial among several groups of people who have strong belief systems about several ET/ED groups that have been referred to as "Confederations", "Councils", "Commands", "Alliances" and "Federations". The list is a long one. There is a Galactic Council of 13 mentioned in several "ET Narratives" including the "Ashtar Council", "Andromeda Council", "Draco Council", "Galactic Council of Light", "The 13 Ascended Galactic Masters" and the list goes on and on. There is also lots of talk about the Galactic Central Sun (AKA "The Black Sun") which even has a number of its own cults and is reflected in the "Galactic Logos" information that was presented in the "Hidden Hand" Material that was a mixture of several other groups of New Age Idea's and rumored Illuminati Beliefs. There is certainly a series of energetic bursts that are coming from the center of the the Galaxy that we measured in the SSP Research Vessels as well as high energy galactic storms in an area of the Galaxy that our Sol System happens to be traveling through at this time. There are some ET Groups that are in the Super Federation that are 4th and 5th Density Beings/Civilizations. None of them have identified themselves as being apart of or representing a "Council of 13" from the center of our Galaxy. They do not use the names that most "Earth Contactee's" use to describe the beings they are in contact with on the Internet at these Super Federations. This may be because they represent themselves to these Earth bound humans that they are contacting as these group names while they are known by completely other designations by each other and the Secret Space Programs. Some of them have indeed been found out to be deceptive "Ancient Earth Break Away Civilizations" that have pretended to be "gods" and "ET's" for hundreds of years to various surface populations and civilizations. The Super Federation is a Federation that is made up of many other Councils and Federations that have a vested interest in our Sol System and are taking part in some "Grand Experiment" that is not just genetic in its nature. This "Experiment" is far more complex than genetics and is something they are participating in themselves as well as experimenting on us. It is also very much tied to "Natural Law", Karma, and "Free Will" (Even though some groups do not respect free will in the way we would expect them to). All of that being said, I base the above on my direct experiences in physical meetings that are face to face. These are not remotely channeled by unseen beings or channeled by beings that do not appear in my presence physically. Any 6th Density or higher being can appear anywhere they like by just consciously "Thinking It So". If you are being contacted by a group that claims to be 6th+ Density and gives you excuses why they will not appear to you then it is time to become suspicious. It is not to say you can just contact these being out of curiosity or wanting proof of other life and they will appear to you if you send out a mental signal either. That is a good way to open yourself up to negative contact and manipulation. These 6th+ Density beings think and behave on a level that we cannot comprehend in our current density. Some take that as an insult but it is a basic truth. They do live by a Natural Law and a sort of "Prime Directive". There are quite a lot of lower Density Beings (3rd, 4th & 5th) that masquerade as gods and higher beings to deceive and manipulate people all of the time. They can put on quite impressive displays and end up attracting quite a few "Followers". Positive 6th and higher Density beings will discourage followers, religions, cults or the people they are speaking through as presenting themselves as "Guru's". They will work to teach you that you need to find the answers within. There are no light forces coming to save you. There are no ascended masters or ET's that are going to come down and end the rule of the "Elite" and change the world. Beings of this level are going to encourage us to make these changes ourselves and to become apart of the process. It is up to each of us to use our individual discernment filters and not our wishful thinking to decide what our truth will be. We are so encapsulated in our individual reality bubbles that we avoid any information that may pop them. We need to decide if we will remain sheep or will be truly sovereign and reclaim our power of consciousness and its ability to directly effect reality. It is either that or sit back and complain, have a negative attitude (Say this can't work) and wait for someone else to do the work. Are the Sphere-Beings related in any way to the following article ?http://projectavalon.net/forum4/showthread.php?40941-Horus-Ra-as-the-Archontic-Alien-Parasite-A-follow-up-interview-with-Maari Could you please share your opinion on the above ? No... No correlation what so ever. "Opinions are like Rear Ends, Everyone has one and they ALL STINK!" This is humorous to some and not to others I have since been told. However it was a way of illustrating that in today's Internet society not only does the anonymity of online forums embolden people to be much more rude than they would if they were sitting across the table from you, It has also given everyone a platform to share their opinions based on their own belief systems or reality bubbles. There is also the fact that beginning in the 1950's the Military and Civilian Intelligence Agencies began a Policy of infiltration. Since then the "Ufology" Field has been completely infiltrated and managed by handlers up until the current day. Some of the best researchers have been kept from getting too close to sensitive information by the insertion of very likable people who are often whistle blowers or financial contributors (Among others) who also become "Trusted Advisers". These people are actually Agency Handlers who steer them in certain directions or even cause conflict in organizations/teams in a way that they come out smelling like a rose and keep their credibility in the field. In the past I spent quite a lot of time on Internet Forums and there are a lot of really intelligent and well-meaning people on them. They would never want to admit that they have been manipulated by infiltrators out of sheer ego. Those who run Internet Forums would not want to admit that their staff has been infiltrated in the past or present by agents out of pride. I know of one former Moderator that was ordered to obtain his position in a Forum as an infiltration (He told me this himself). It is an unfortunate fact that not only is the field of "Ufology" completely infiltrated but Online Forums are even more so. Could you verify the statement by Tolec:[..]"higher dimensional "Blue Avian" people [the 'Annuans'] & their role in the strategic alliance of the 'sphere beings'[..] The Ambassadors & Diplomats of the Andromeda Council are 50% of this sphere alliance".. Yes, I have been directed to this information and have looked into it and have responded to it previously. These statements about the Blue Avians and the "Sphere Alliance" are completely inaccurate. This information is being put forward in an attempt to match new information to a sources narrative that they have been presenting for some time. The "Sphere Being Alliance" is made up of 5 groups. The Blue Avians are one of these 5 groups and are NOT "The Annuans" or related to "Anu", the Anunnaki ("Cousins" or otherwise) nor do they have any relation with the planet "Nibiru". There is not a group going by the name of "The Andromeda Council" that is allied or that makes up apart of the "Sphere Alliance". The Sphere Alliance are 6th - 9th Density Beings that do not originate from any planet or region of space in our space/time. 3 of the 5 groups have made themselves known so far. I'm not looking to get into a philosophical debate with any of the other sources, conctactee's or guru's out there who are in contact with various other beings (Mostly 4th - 5th Density & in some cases Ancient Earth Break Away Civilizations) who have their own Internet following as well as differing "Intelligence" on what is occurring in our Sol System. It is however my direct responsible to report what I'm directly experiencing in my ongoing physical contacts with the SSP Alliance and the Sphere Being Alliance. I leave discerning the information to individuals as events continue to unfold in real time and in the near future. HI Corey. I want to thank you for what you are doing. And David and Colonel Gonzales. It is a huge leap for humanity to have the truth shared with us. Just one quick question. Is SaLuSa via Mike Quinsey part of the alliance? I checked with Lt. Col. Gonzales and he informed me that they are not affiliated with with the SSP Alliance or the Sphere Being Alliance directly or indirectly through common sources. Are the Sphere Beings initiating contact with people on Earth through dreams? Yes, this is part of their protocol for establishing "First Contact". People are contacted through dreams in every case and never via channeling or telepathic contact from an unseen source. Once the person accepts or rejects the contact and communication from a subconscious and higher self level further contact is then established through their other protocols and standard operating procedures. This is never wavered from for any reason. How is it that you are safe? Why are you free to tell all their secrets without being eliminated? How were you able to return to earth? Why would they risk allowing someone like you to return and become a whistleblower? I am under a certain amount of protection. This protection is based on my own behavior and can be nullified by my behavior or "Karmic Energy". I had not planned on coming out into the open. This decision was made for me by the executive decisions of some researchers who have lost their way ethically. It does appear that it was apart of the over all plan for me to come out eventually. I would preferred to have come out as my full identity under my own terms after I had taken steps to put in further security measures. I and my family have not gone through this process with zero interference or death threats. I had someone leave a note and a bullet in my mailbox at my home. I have been directly threatened by different "cabal" associated groups and individuals and have had a coordinated campaign to discredit me through compromised researchers, bloggers and triggered individuals in the "Truther Field". This field is completely infiltrated and has been since it began in the 1950's. It has been manipulated and controlled by operatives since its inception. Those in it who believe this manipulation couldn't happen to them are speaking out of Ego and are most likely already targets themselves. There have been some researchers in the field that have become psychologically compromised and could not resist writing themselves into the narrative of what they were researching. This has all been crafted by design by those who have infiltrated and manipulated (handled) people in this field. This is not me speaking out of spite against some who have targeted me but is just an uncomfortable truth. Those who say I have not had death threats or been threatened are misinformed.The opposite is true. We even had a couple of incidents where my family has been terrorized. Being that there are such vicious trolls and unethical bloggers/researchers out there who are ready to pounce on anything I say... I make sure to keep information that includes my family out of the public eye. These people will then make a target of them or accuse me of making up stories of their very real experiences. Make no mistake that we are putting our lives and reputations in extreme jeopardy and have already payed some serious costs to date. It has caused fear and anxiety in my family because they have not felt safe in their own home at times. If not for the SSP Alliance and the Sphere Being Alliance wishing me to come forward with these disclosures it would not be happening. The Secret Earth Governments and their Syndicates have kept a very tight reign on the Ufology/Truther Field from the beginning. If not for these opposition groups this status quo would be in effect. The Ufology/Truther Field however was infiltrated and compromised to the point that it is divided between people who have developed their own personal "UFO Religions" based on the many different divergent sources of information out there. There is more disinformation floating around in this field than at any other time in history. Discernment is key. Dr. Steven Greer of the Disclosure Project and the ET Contact initiative, states that ETs and EDs must have a very high level of consciousness that would preclude their being negative or hostile, and that "hostile ETs" are a propaganda trick. Thoughts? Trust me when I say that ALL beliefs and theories fly out the window when you are actually able to meet these beings. I have had a forced change in perspective on several occasions. People that are working close with the political and military types are going to be told the same top level information that they were briefed on. The Military/Intelligence Secret Space Program is made up of people mostly told that ET's exist (4-18 species or so) but rarely come to Earth and that all that that they track in space is man-made. They are also told that there are ruins of ancient ET civilizations in various parts of the Sol System. They are then told they are at the "Top of the Totem Pole" of cosmic clearances and other than certain Special Access Programs, they now know everything there is to know. These Military/Intel/Political people believe this narrative with every fiber of their being and feel special for knowing the absolute "truth". This is also the narrative for the partial disclosure that they are unwinding before us this very moment. We all have to realize that most of what is currently believed will change if we obtain full disclosure. I am looking forward to even more changes in perspective in the future. Do the Blue Avians know about the Keshe Foundation and if so are they involved with this institution? The Blue Avians are not involved in this foundation or any other business or research groups on earth. There is no need. Technology beyond this is already developed and in use at this time and just needs to be released. This is what the SSP Alliance has been working towards (one of the things). Who are the 'Elohim' of the bible? I do not know for certain. I believe "Elohim" may be a term like "Annunaki" which is a general term that just means a being that came down from the heavens (An ET). I have not been informed of any specific group that goes by the name of "Elohim" or "Annunaki". Can you confirm if the 1969 moon landing was a hoax? It was not a hoax. There were some studio video re-shoots done because of artifacts and damaged film fragments. After we crashed the moon lander into the moon to test the seismic equipment and to see what the core was made of we were warned off from returning. We also picked a poor place to make our first landing because it was protected territory. Some of our ignorant acts made us most unwelcome there as a civilian Space Program. The first landings did occur and the remnants of their landings can still be seen on the moon. Is this legit? Where's the proof? when they will have more "proof" than they can handle. Full Disclosure is not going to just be a happy event when we finally find out we are not alone in the cosmos. It is going to also involve the release of quite a lot of traumatic information about our true history. How were you chosen to be a delegate? I was chosen by name by the Blue Avians. The SSP had a person that was also in contact with the BA's that they wanted to be the "Delegate". The SSP Alliance was very upset when I was chosen over their person. When I asked for access to their healing tech in the beginning I was told "You don't work for us". Then recently they started wanting to use me as an asset. These people [SSP = Secret Space Program] are fighting the Cabal, but are not people you would want to invite to dinner at your home. Things have only recently improved between them and myself after I have proven myself to them in various situations and they have spent time with me in quite a few SSP/Sphere Alliance Conferences over the last 6 months. It has been a difficult trust relationship to build. What does being a blue avian delegate mean? A "Delegate" is a position of a member that attends the "Super Federation Conferences" on behalf of a certain group. I am the "Delegate" for the Sphere Alliance. Are you in telepathic contact with the Blue Avians during periods when you are not meeting face to face? No, they normally send the Blue/Indigo Orbs or appear in my home to communicate. One has to be careful of the different technologies out there that Intel Agencies use ("Mind of God" tech) and also "Trickster Beings" who may try to mimic the Blue Avians. They are mimicking the Blue Avians quite a lot right now to cause people to be confused or think they are receiving a different type of message from them. If they do not appear in front off you and communicate telepathically w/the sign language then you should be skeptical of who is sending you the "Telepathic Message" IMHO. Does the teletransportation produce any physical phenomena (e.g. shooting star) in the sky when it occurs? I am told its a flash and blur of light when I am seen zipping through the sky. When I am picked up in my home we zip straight through the wall. What is so special on the moon, that there are so many embassies on it? The moon is an ancient "device" or space station that was built by the "Ancient Builder Race". It is hollow after hundreds of feet of debris that have collected on it. It is also the perfect place for these various "ET's" to observe their "Grand Experiment" on Earth. Will there be meetings between opposing parties where you are not present? Or are you strictly the mediator between parties to reach agreements and both parties are not allowed to meet without you being present? Opposition meetings with the SSP Alliance are held when I am present being a delegate speaking on behalf of or for the Sphere Being Alliance. They give me the words to say and I say them exactly as they are given to me. The Sphere Alliance will not meet directly with the service to self beings. Many of the ET Groups/Federations that meet at the UN Type Super Federation are considered "Good Guys" but are helping humanity out of a personal agenda which is "STS" [Service-to-Self]. In even these cases the Sphere Alliance has me attend as a delegate at these "Super Federations" to speak on their behalf. The SSP Alliance does have meetings with the Sphere Alliance on occasion without me present through the person who they wanted to be the Sphere Alliance delegate who is a member of the SSP Alliance and is also my primary contact w/the SSP Alliance. This person has been in contact with the Blue Avian group of the Sphere Alliance the same number of years as I have. His contact began with them at almost the exact same time frame. Can you set up a camera in your bedroom to record your disappearing via the Orb? Would be some serious evidence in favour of your testimony. Sure, however, it will not convince anyone of anything. I have been told that nothing I present cannot be done in "After Effects" or other software. Seeing pictures/video is not believing. They can be manipulated. You cannot even believe what you see on live TV News anymore. You can only truly trust your own personal experiences when coupled with discernment. The problem right now is not getting proof. It is preparing yourself for when you are under an avalanche of proof that is extremely troubling and disturbing in nature. This is what I am trying to prepare people for as well as providing the BA Message to also have people focus on self evolution of mind and spirit. We will not be able to tolerate the information we receive or the change in the background energy/resonance if we do not prepare ourselves in these ways. True discernment is more than bending someone to producing video/photo's that will get more visitors to their site. This is not about "site hits". If at some point the SSP wants to start appearing in front of live tv camera's like they already have live NASA ISS feeds then that is up to them. Even these live NASA ISS feeds have been heavily debated is circular debates in forums. David Wilcock mentions Millions of underground Zombies that have to have their heads cut off like he said about "The Parents" w/Nanite healing. Are they similar technologies? What do you know about Zombies? In my report to Davide about this "Zombie Virus" it did include that it was engineered to cause people to bleed from their gums and finger nails and also cause aggressive biting and scratching from brain swelling and other neurological issues that was meant to help the virus to spread to loved ones trying to take care of them. The Zombie Movies and TV shows actually had a deeper purpose and were an attempt to cause people who had threatening diseases such as this zombie virus or even Ebola to be looked at as already dead or less than human so they could be killed and their bodies burned by military and civilian personnel with no public outcry. This was all biological and psychological warfare stuff. I did not supply David Wilcock with the information about millions of zombies underground in the US and EU or about the decapitation of them in order to stop them or the aerosol that is used to kill them. David Wilcock has DOZENS of other resources other than myself. I am far from his main or only source on black ops or secret space programs. Only some of what he reports comes from me and that is only after he has vetted that information with other sources. He has ran information by me that he has heard from other sources and I will tell him if it does or doesn't sound like anything I have ran across or if it raises red flags with me and he runs information I give him through his other sources in the same manner. I was pretty shocked at how highly placed some of them are and the information they have access to. In the end he is his own person and researcher and has his own ideas and beliefs on issues. He goes where he feels led and nothing any one source or person says is going to influence him once he feels he has vetted the information and it doesn't raise red flags to his intuitive nature. If he feels its the right thing to do or information to go with he does. Why are some people so "triggered" & in a "reactionary" state of viciously lashing out at you & your disclosures recently? Do they have entity attachments, are they responding to programming or just pissed that you violate their personal beliefs? Some are pretty cut throat & obsessed w/discrediting you! I can not fully explain it myself. Some of the behavior has been truly obsessive and indeed very cut throat. I have had so many online stalkers and trolls in my short time being a whistle blower that it shocks even some of the long time researchers I speak to. Many people study certain material in this field like others do biblical scripture. They have very strong beliefs in "This Council" or "That Confederation" and if the information I am presenting does not line up with what they have been reading and chatting about in chat rooms for years then not only can it not be true to them but it has declared war on their deeply ensconced personal belief system. Other people that have been mind controlled in the past and have fallen under the spell of another person that speaks to their level so deeply that they become fiercely loyal to them. If they see a conflict between you or your info and that "ideological leader" then they come out fighting viciously. I have one such individual that lives in my own city that was a "friend of a friend" and asked to meet me (Who I later found out was hearing voices and thought Draco were putting suicidal thoughts in their head). In the meeting it came up in conversation that we knew a common person that I had an issue with that they were fiercely loyal to. Since that time this person has become so obsessed with attacking me in forums and other sites (They have their own war campaign going on and are in such a long term reactionary state to where they absolutely cannot control their behavior) that I have had to make a policy not to meet people who live near where I do. I have already had one other person/stalker leave disturbing notes and items in my mailbox causing a security concern to where I do not let my children check the mail any longer. This has upset some supporters that live in my area that do not fully understand the security concerns. It is amazing how quickly people can invent things in their minds, it becomes reality to them and they turn on you. It is actually more than a little creepy. I have learned some lessons with people the hard way and I do admit making my own share of mistakes in the process. I have always been honest about my experiences and the information that I present. I try to treat everyone with respect, including those who are stalking or harassing me mostly because I know that it is tied to the protection I receive that I can negate by my own karma or actions. - Are they responding to Programming? Yes, that is even more obvious and the "Triggered" and "Reactionary" behavior are very clear signs of a person who has been programmed. - Or are they just pissed that you violate their personal beliefs? Yes, this is also partly from self programming and also allowing themselves to be programmed by others by following information that they allowed to become a strongly ensconced belief system. - Added 6/20: Sadly there is another category to add to the equation. There is also the "Mental Illness" component. A couple of stalkers have not only shown signs of this but have either described "hearing voices" or admitting to being "Unmedicated" and suffering from Bi-Polar or Schizophrenic disorders. (Mental Illness is one of the many chemical or energetic/vibrational imbalances along with Physical Illnesses that can be cured by the suppressed technologies that are in use by the "Elites"). There is not much we can do about this group at the current time. I do believe there is another reason people are getting so upset. I think it is that they are sick of the many failed predictions of disclosure and the end of tyranny by so many sources that they are now extremely cynical. I am certain this was done by design by disinformation agents for the last 10 or more years. Many are also so locked into the victim frame of mind that they are looking for a "Savior" ET or Earth Group to make their lives easier. Then the Blue Avian message states that they have to save their selves and that their consciousness development is tied to how soon they will graduate to freedom. This really angers them. No one wants to bare any responsibility and they all want to sit back and let someone else do what needs to be done to save them. They are the key to their own freedom and already have the tool and power to effect that change. Some people are so filled with anger and hateful emotions that the thought of winning a conflict against lower vibrational evil beings with "Love", "Forgiveness" and by "Raising Their Vibrations/Consciousness" by focusing on becoming "Service To Others" is not only a ridiculous idea it is also a path that they cannot see themselves ever following. It is easy to call yourself a "Light Warrior" but walking the walk is a whole other story. It is a very difficult path and all of us who walk it struggle and stumble on it often. Sadly many of these people are in such deeply rooted belief systems and emotional prisons that they will remain this way until there is a "Full Disclosure" event. Those who have done the spiritual work beforehand will be tasked to assist these people along with the sleeping masses once this time comes. The Sphere Beings are buffering the Ascension process, have quarantined the Draco and those aligned with them, yet now they say it is all up to us and they can't intervene even though they have intervened already. It is our group consciousness that is making the decision. The Sphere Being Alliance (SBA) are humble servants of cosmic law and our collective free will Choices. Again, it is difficult to try to overlap our 3/4D way of thinking onto other beings in our own Density let alone those of others. All that has been done by the SBA has been authorized by cosmic law on behalf of our mass consciousness which is sort of a higher thought-complex of us beings which makes up the social memory complex we share. Which agency/program first identified you with intuitive empath abilities and began training you for eventual recruitment into a SSP? I was identified as an “intuitive empath” extremely early on in the MILAB Programs. I was no older than 6 years old when I first heard this term used in relationship to myself. Quite a lot of standardized testing, psychological testing, physical testing, psychic testing and various types of “scenario testing” were used to identify my natural “talents” and “other abilities” that could be “enhanced”. I am sure it was at that early time that these “people” (mostly sociopaths) that ran these “programs” began to see the patterns in our dossiers that would determine if we would be further trained to be “drafted” into the “secret space programs”, the “secret earth government syndicates/groups, specialized military forces or “other programs”. I do not know at what point I was identified as a candidate for the SSP programs or the “Earth Delegate IE Support Roles”. It is clear that children with special abilities such as “star seeds” were actively sought out. They often used the “standardized testing” in the public school systems to help them identify these children. When did it begin and how did your parents respond? The training began with both “night time pickups” from my home and also when I was about in Elementary School being taken from school in white vans and transported to the local air force base (Carswell Air force Base at the time, now Naval Air Station Joint Reserve Base Fort Worth) or very often closed down shopping centers or large corporate types of buildings closer to where we lived. The school pickup’s were sporadic and would be from 2 days a week and quite often to sometimes there would be weeks with no “field trips” what so ever. There were normally the same 300 or so children, children of various ages present depending on where the training occurred or what type of training was occurring. At the end of every “training session” there was always a “chemical debriefing” where you were given a shot, you went over your training for that session and then went through a process to be “blank-slated” and have “screen memories” implanted to replace the ones that were removed and to cover any missing time that would cause problems with the “screen memories” and your subconscious (which often occurred and played out in dreams). What can you tell us about your formal training? My parents do not seem to have known. They are a very secretive type of family anyway with one side of the family that refuses to answer any in-depth questions about our detailed family history or lineage for doing family lineage tracing. I have not discussed this with them as they are very strict conservative Christians (now in later life, not so much back then at all.). When the Videos with my Full Name and Location is released I fully expect quite a negative reaction. Let’s just say there will never be a “Normal” Family Christmas or Thanksgiving Dinner again. I also fully expect there to be some sort of “Intervention” to occur where I think I have been invited over for lunch after Church and see my entire family with serious looks on their faces, the Pastor of our local Church and a Psychiatrist (This is no joke). Please explain how you graduated from your IE training? There was no “graduation ceremony”. There was just the training and then the work. Most of the “ie” training was “on the job” or in “simulations”. There was a lot of effort put into “enhancing” already natural “IE” abilities, remote viewing/remote influencing training with the use of “chemicals” and “technology”. When you were going through training you were not just being trained for one identified skill set. There was a lot of redundancy training, weapons and tactical training among other types of survival, communications and technical training. There were also several types of technologies used for training. There was a “virtual reality” [VR] training that was so “real” that you could not tell the difference or that you were “in” or “out” of a session (this technology was used for many other things as well). A lot of psychological profiling was also done in these “VR” environments where you would be ordered to “kill” or do other “unmentionable things” to people or animals (to “see” how far you would go ethically). There was also combat training done in these “VR” environments. One of the tests towards the end was for you to be able to discern whether you were in a simulation or not. There was “in the field” training as well and the training locations were recreated in the “VR” environments. There were also “data download” technologies where years of training and “book learning” could be directly downloaded into your brain. Please tell us the age you began your initial 20 year tour of duty, what year that was and anything you recall about the contract/non-disclosure agreement you signed? I was told up front that I would sign non-disclosure agreements and then serve 20 Years away from Earth, I would have no contact or information of what was occurring on the planet, that at the end of my tour I would be “age regressed” and “blank-slated” and returned to the time when I left. I was told that for doing this very important mission that I would have a very easy life upon returning, and would have a job for life making over 6 figures with a great retirement package and would live out the rest of my life in happy ignorant bliss. None of the above was delivered on. I technically served almost 21 Years as I was brought in at 16/1986 for a short term program assignment prior to being handed over to the facility on the LOC where I was then physically enhanced. I was somewhat short and looked very young and this was advantageous for them in this first program assignment because they wanted me to be underestimated. When I was 17 and assigned to the SSP I really began my time in. As previously stated I was assigned to a research vessel for a little over 6 Years before being transferred to some other projects that were at times “dark” and difficult to do. Please explain what happened at the end of your 20 year tour of duty in terms of age regression, time-regression and being reintroduced to Earth? I hadn’t served on board a “Vessel” for some time but had been assigned to other SSP Projects. There was a ceremony with other SSP’s that I had never seen and then a very long debriefing under the influence of a chemical that was injected. They then did medical tests and “Labs” while I was read a lot of information from a standard form by a person that seemed to have it half memorized. They reminded me of an “Oath” and “Non-disclosure” as well as my duty to those I served with and the importance of the mission. I then was asked to sign some paperwork and was moved down a level to another medical area I had never seen. I was then sedated and restrained for the “Age Regression” process (It was very important that we remain perfectly motionless). I was then returned to my home where I was picked up “20 Years” earlier at almost the same time I left. I was extremely confused, exhausted and ran a fever and remember that I stayed home and in bed sick for a couple of days. I then returned to my “Normal” life of finishing up High School etc… I did have a growth spurt in the summer between my Junior and Senior Year that Blew My Class Mates that I grew up with AWAY! I not only caught up with but was now a bit taller than kids that were almost a head taller than me the year before. I was 6’1” when I graduated High School. How does the age-regression technology work, and what is its relationship to time-regression technology? The “age” regression occurred while under sedation and when we came out we were also at that point “time regressed”. I was not conscious during this process and only remember going into the room and laying on the table where card board like panels were put up around me and I was heavily restrained (as I was being sedated) so I could not move at all as well as sedated during the process. We had to be kept perfectly still/motionless during the “process”. That is all I recall. You have described that the blank-slate, mind-wipe technology was not always successful, and did not work on you. What was the policy of the SSP in such cases? Would they still honor contracts, take additional precautions in returning people to Earth? The “blank-slating” protocols and technologies have changed over the years to now using mainly technology. During my time they were primarily using “Chemically Induced” with Technology assisting the process as well as “Human intervention” using various types of developed hypnotically suggested “screen memories” and “Triggers” in case those screen memories began to slip. They found out early on that people that were trained heavily in the more “Esoteric” programs and who were certain “Personality Types” had a natural resistance to the process. They also finally figured out that NOT ALL MEMORIES were contained in the brain like a hard drive. They learned that many memories were contained in the “Energetic Field” (Soul) of a person and as they learned more about how people remembered “Past Lives” they realized this was a problem. When you had people that were trained in the “Esoteric” and had a strong connection to their “Higher Self” and didn’t ONLY identify with their “Ego” erasing memories and replacing them became problematic. The only thing they could do is “REAB” (Re-abduct) the individuals from time to time and blank-slate them again, when that proved “Fruitless” they just had to either “Terminate” the individuals or if they were of further use in the future keep them under close surveillance. When things became very obvious that the individuals had “Full” or “Partial Recall” they would usually bring them back in on some level to the “Projects”. EVERYONE was promised all kinds of things that none of the SSP Groups EVER intended on honoring. There were NO 100% College Tuitions, There were NO easy lives of 6 figure incomes and ridiculous retirement benefits… Nothing that was promised was delivered. After your return to Earth after your 20 years’ service to relive 20 years now as a normal civilian, how much could you recall of the first time-line involving your SSP service? Some or all of the memories? I always remembered my “MILAB” experiences and some heavily fragmented SSP experiences from the very beginning (I never “Recovered” them through regression or other processes). Because they were so disturbing I tried to file them away for years and live a normal life with a family. I would have military people tell me on occasions that “You know you were in Project * don’t you?” I would deny it and would not want to admit it because not only did I know what all the programs entailed (experiences) I didn’t want to have the “MILAB Label” and the “Stigma” that came along with it (so I tried the “outward denial” thing for a while). Did your memories return first through dreams, intuitive flashes, or just a knowing that they were real? Did you take any special measures to activate/regain your memories, e.g., accepting them as genuine, etc.? With the amount of flashback dreams I was having at night and calling out in my sleep my wife knew something was going on. At the time she was not “Awake” enough for me to even begin to discuss this stuff with her in detail. This has changed over the last couple of years though and has been very helpful. I had all of these memories and access to them but something was keeping me from putting them together in a contiguous way. It was like the data was completely fragmented on my hard drive and I was able to put together about 70% but when I tried to speak about them out loud I couldn’t. I was guided at one point to Remote View my “Light Body” and accidentally located an “Entity” who called himself the “Gate Keeper”. Eventually being from a Christian background I used the name of “Jesus” to cast him out as well as other “Entity Attachments” that the “People” in the MILAB Programs and “Off World Beings” working with them had placed in me (using them as “Tools”). At this point I was then able to fully access all of my memories and speak aloud about them all with Christine (who recorded the first two “Interviews” with me on YouTube). I also ended up having a detached retina about a year before this “Entity Detachment”. When I went in to have it fixed it took 3 surgeries to fix it correctly and I was told that what I had was no different than “Astronauts Eye” in its later stages. After the last surgery while in the recovery room I started talking to the nurses and doctor about all kinds of bizarre things from the Space Programs (it freaked them out and it was a very uncomfortable follow up appointment). This was in early 2013. At that point I had Full Recall of the most upsetting and heinous parts of the programs that I had worked in. I became so depressed that my wife was worried about me. I was then contacted by my SSP Contact and told I would be getting help. This “Help” was from a “South American Ancient Breakaway Civilization” (mentioned as “Mayan SSP” below [see Part 2]) that was extremely advanced. They worked with me and stated there was no productive reason for me to have all of the evil and horrible memories of what I had taken part in and they went through a process of “Disassociating” those memories from my “soul complex” on a case by case basis under my free will. I still have memories of what they were about but not the horrible emotional attachments or some of the vivid details that were tied to the acts. This allowed me to be productive again and to forgive myself for the things that I had taken part in. It also allowed me to move forward and take part in further contact with the Blue Avians that they had initiated with me a briefly a couple of years prior. After that point things bloomed to where they are today. Was there any kind of temporal constraints in terms of not being able to remember events that would occur in the future from the perspective of your new time-line as a private civilian? There was no chance of coming back with stock market data, lottery numbers or sports scores from all the big games through the year 2006 (though I am certain the Elite have done this). We were not “Blank Slated” on a regular basis. However OPSEC measures were in place. There were no communications from Earth (no one knew you were gone), No News Reports, No phone calls, no emails (didn’t exist “On Earth” when we “Left”), No Internet. We were totally isolated in our own “Reality Bubbles”. We didn’t even have photos of family hanging anywhere. We accepted a new existence outside of the space/time of Earth. So at the end of the “Tour” there was no compromising information. We ALL knew we were to be “Blank-Slated”, Time-Regressed to our prior state and supposedly “Well Compensated” for it with “6 Figure Jobs” and “Full Rides to College”…. I signed up on the website but when I clicked the link in the email I received an "Invalid URL" notice? The activation link only lasts 24 hours, so if your email was delayed for any reason, it has probably expired. Simply register again and click the link in the new email. I registered and activated my account on the website, but I am unable to login? Make sure you are logging in using your email address and password. If you have a cookie blocker, you may need to disable it.